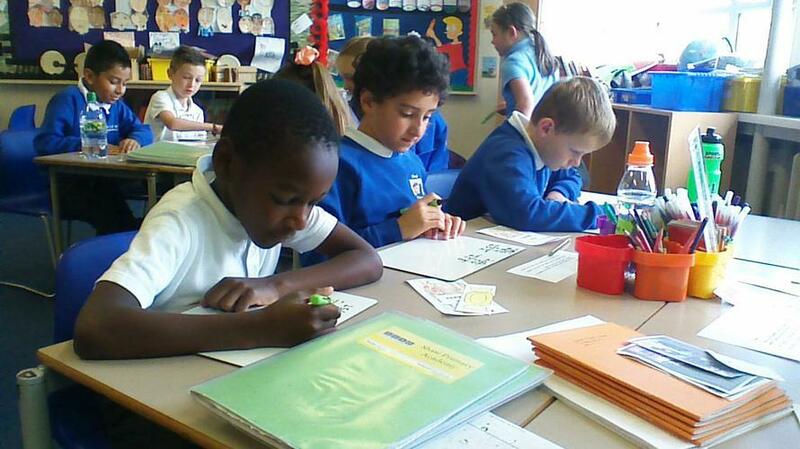 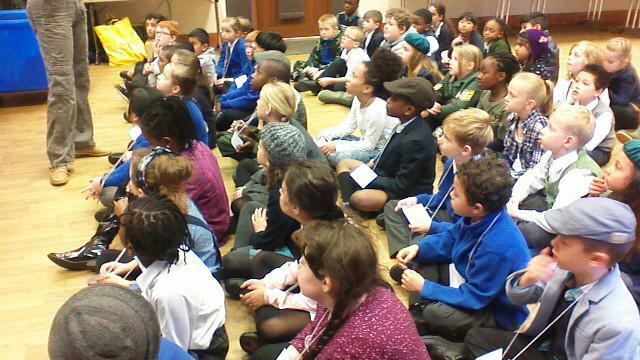 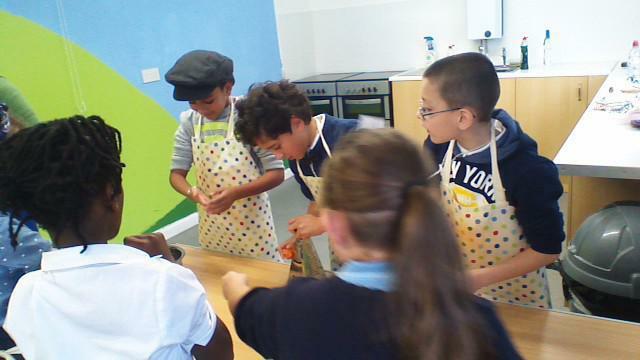 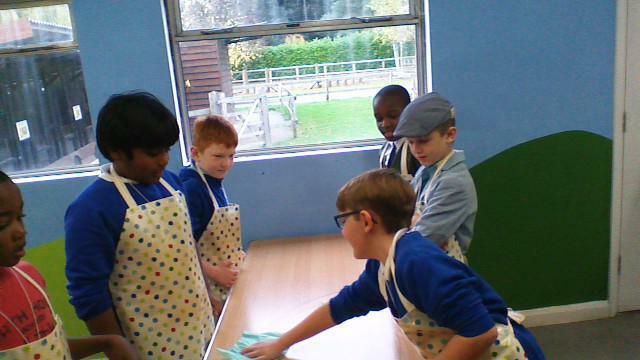 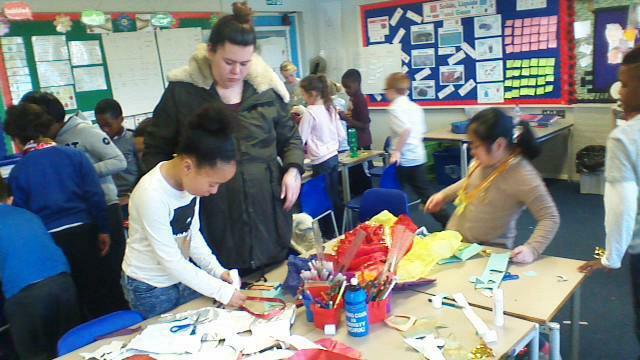 Over the first three weeks of this half term, children have been creating their own adventure stories. 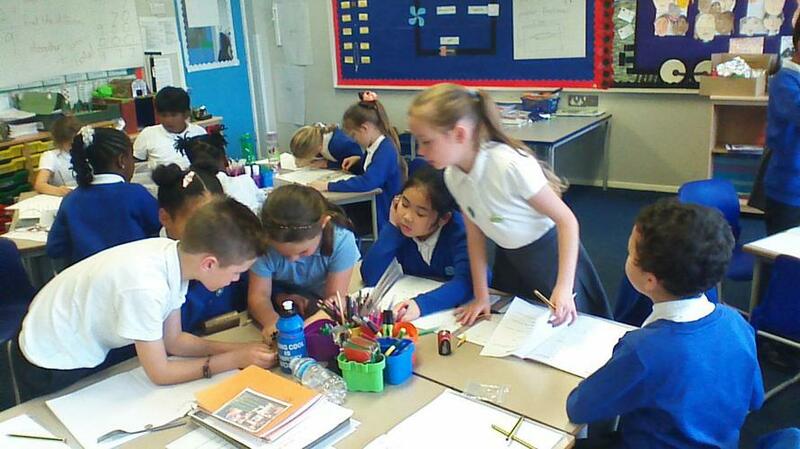 Examining examples of text, highlighting features and finally adapting information in order to create a narrative of their own. 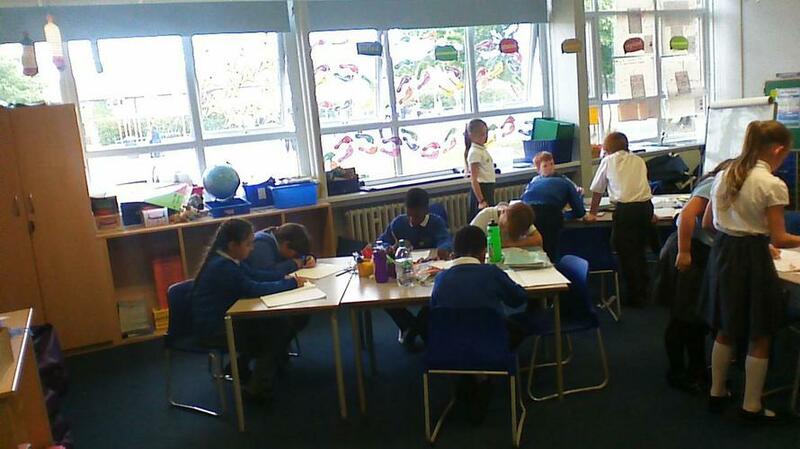 We have moved onto the genre of Biography and have been examining the life of a great British children's author 'Roald Dahl'. 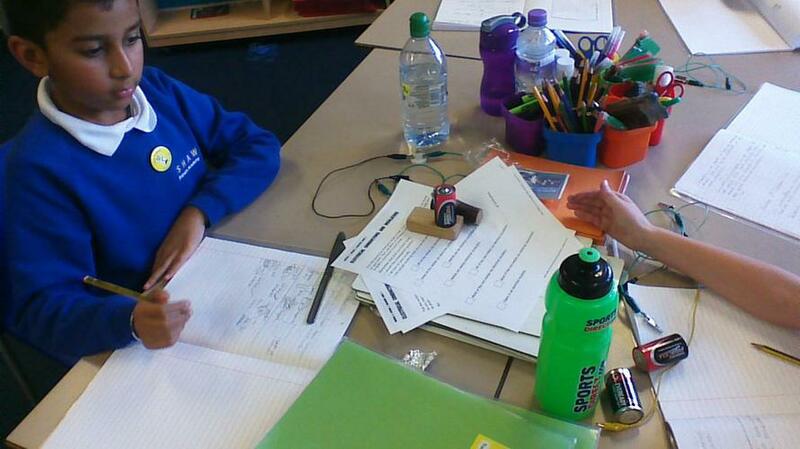 As well as creating extensive fact files to help us gain an insight into his life, family, success and legacy. 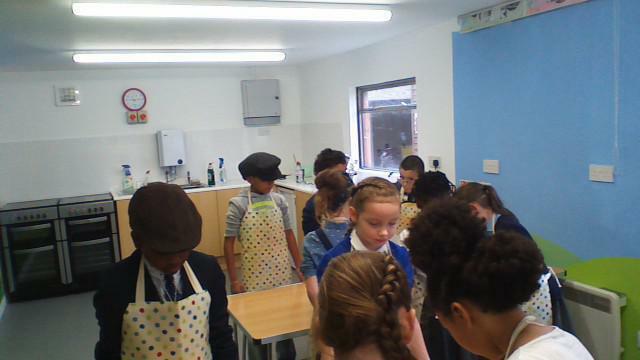 Each table selected one of four sub-headings early life, marriage & children, fame & success and legacy. 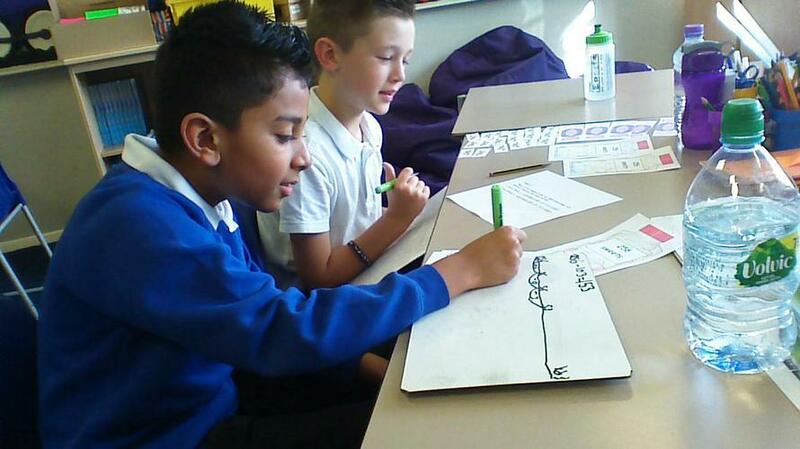 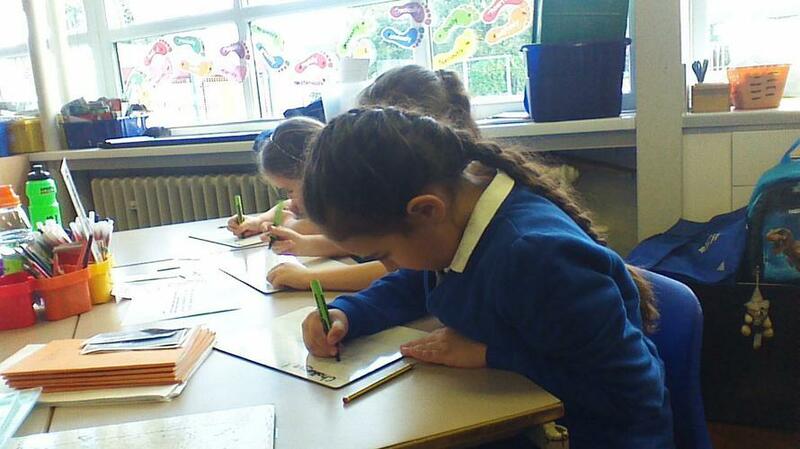 They then worked together to place the facts in chronological order within their paragraph. 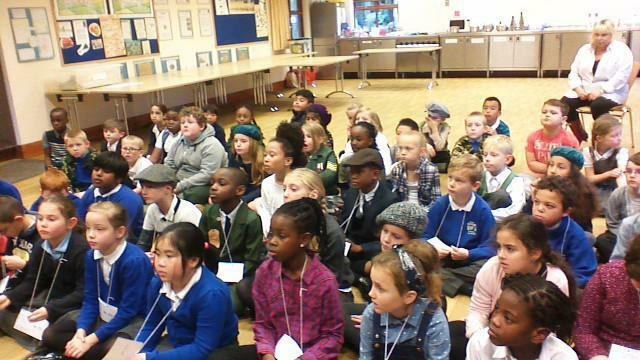 Once all paragraphs were placed together they created a physical biography of Dahl's life. 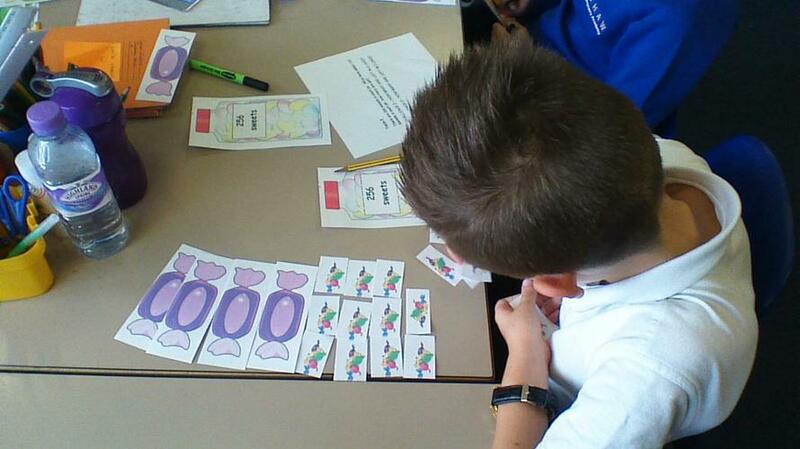 Over this half term we have been revisiting place value, which looks at the value of each number within a calculation. 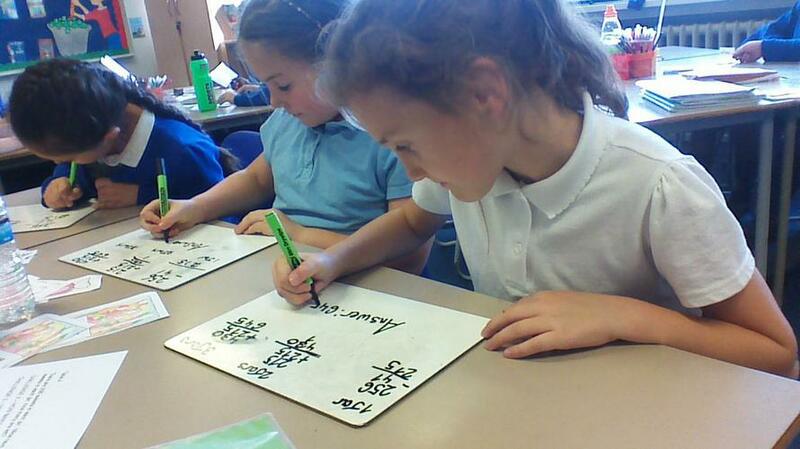 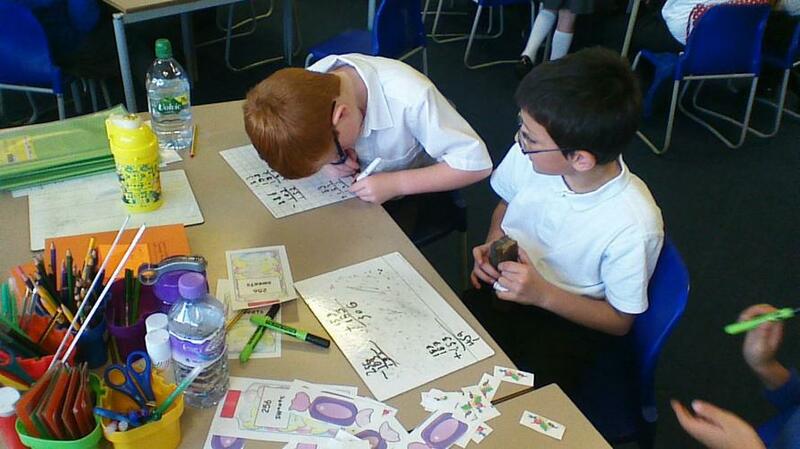 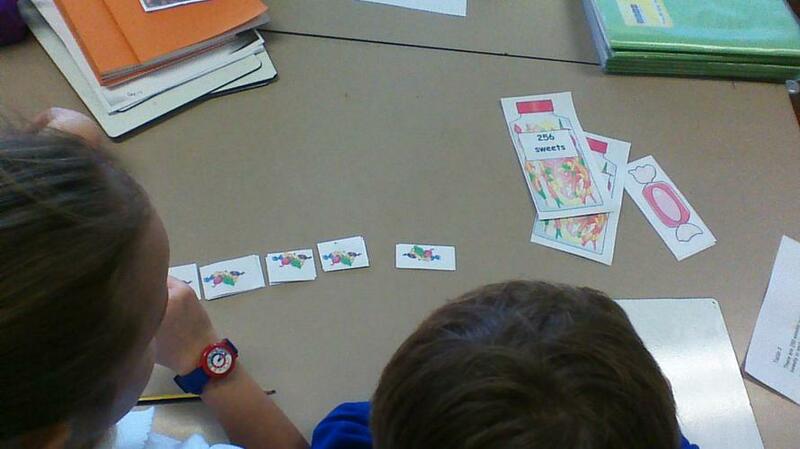 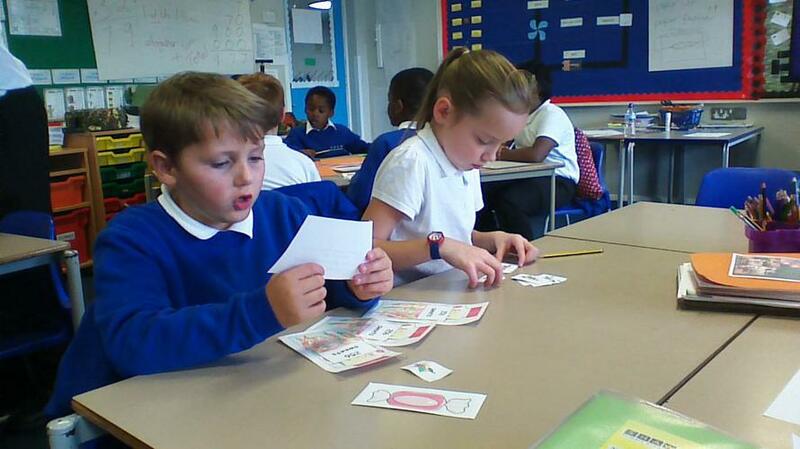 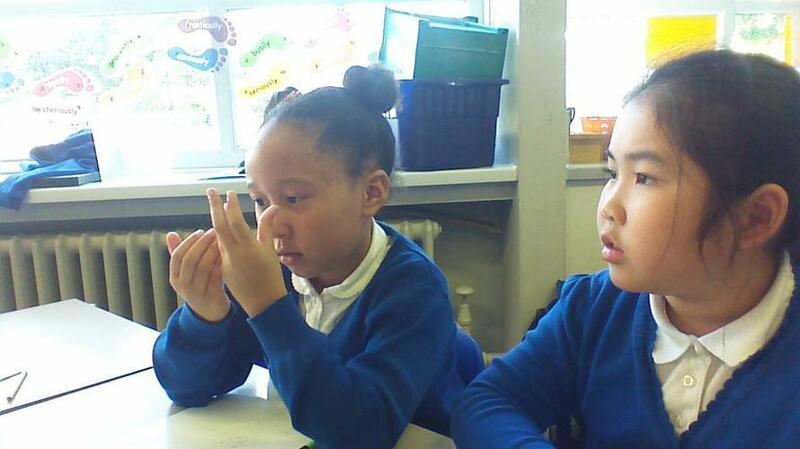 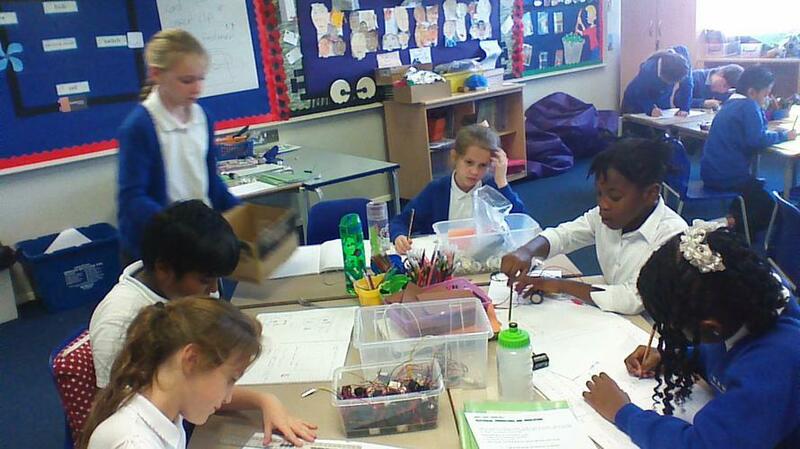 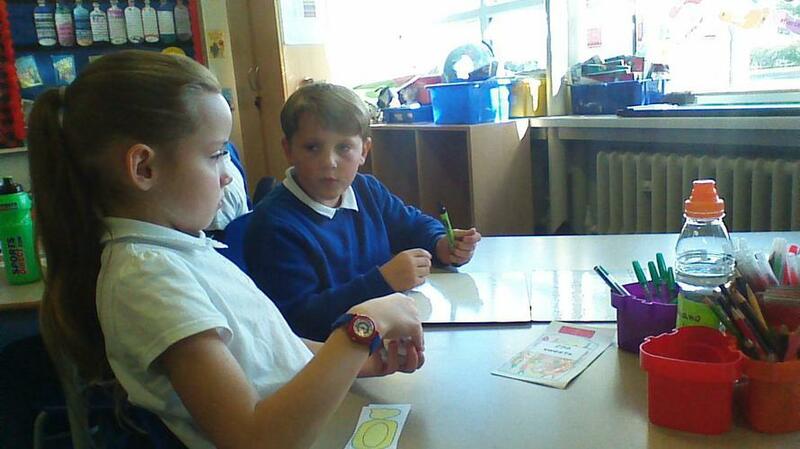 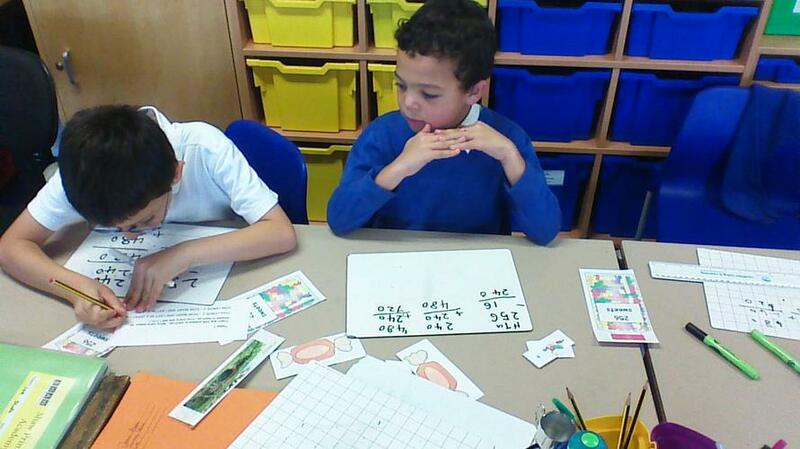 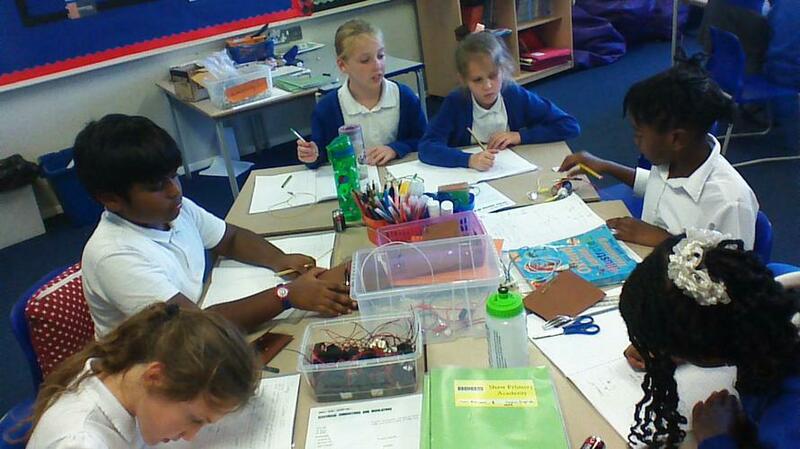 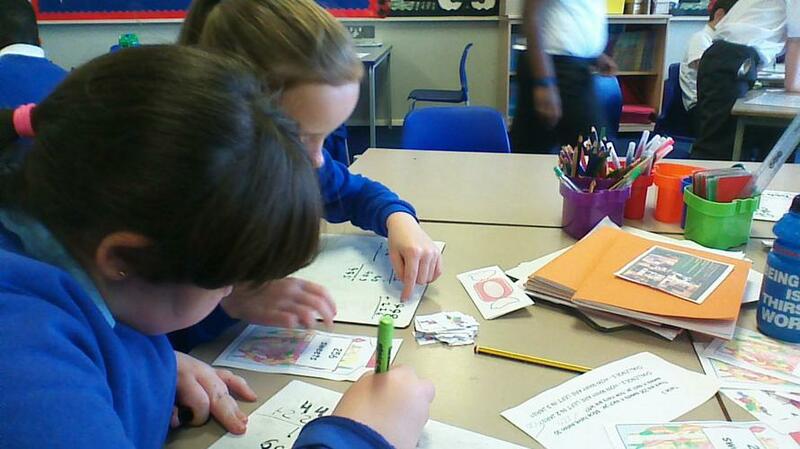 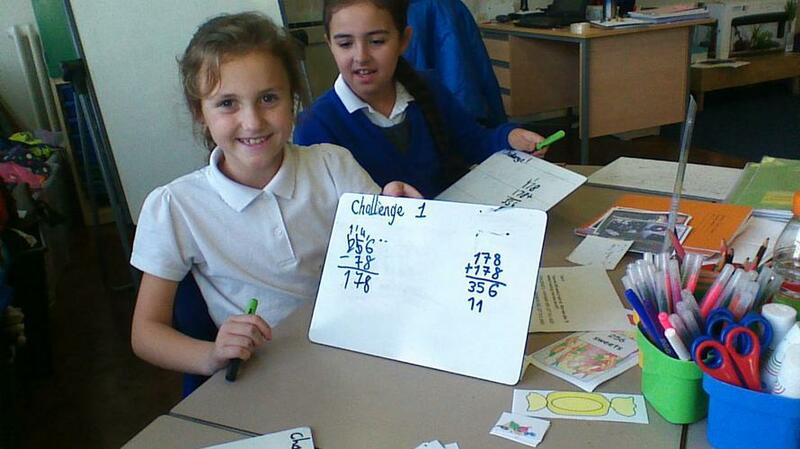 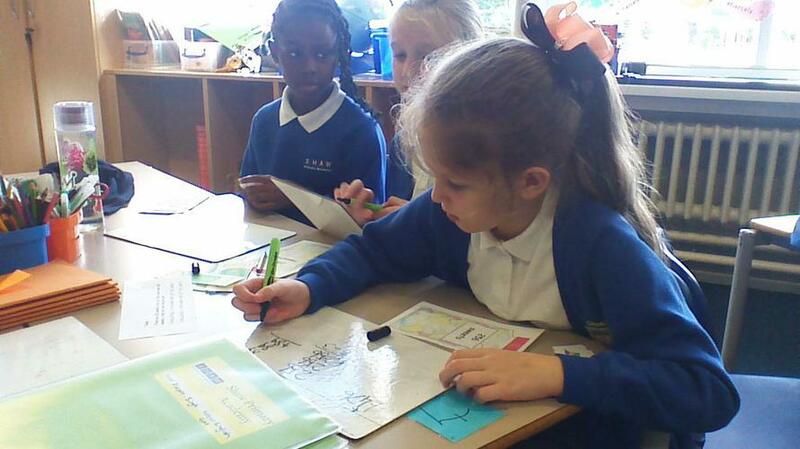 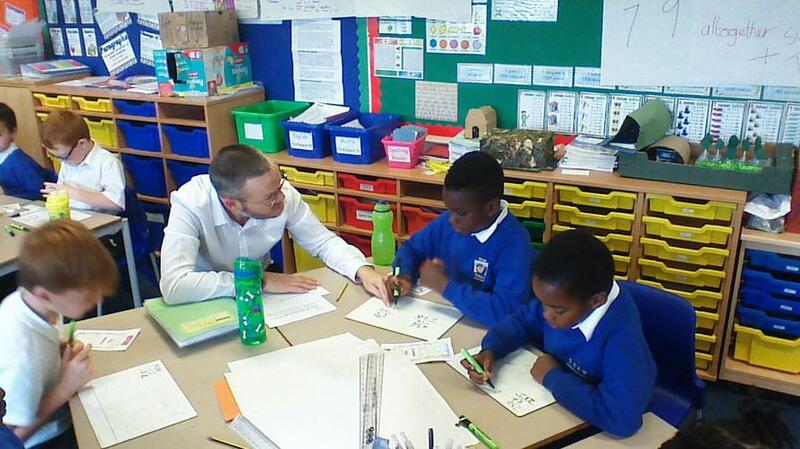 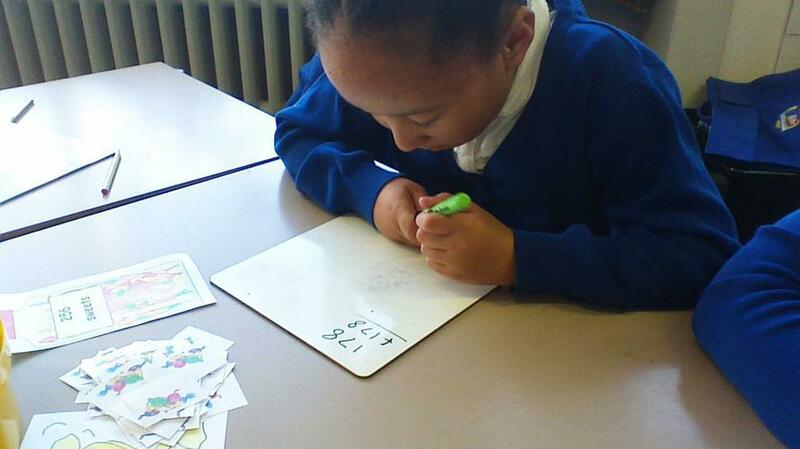 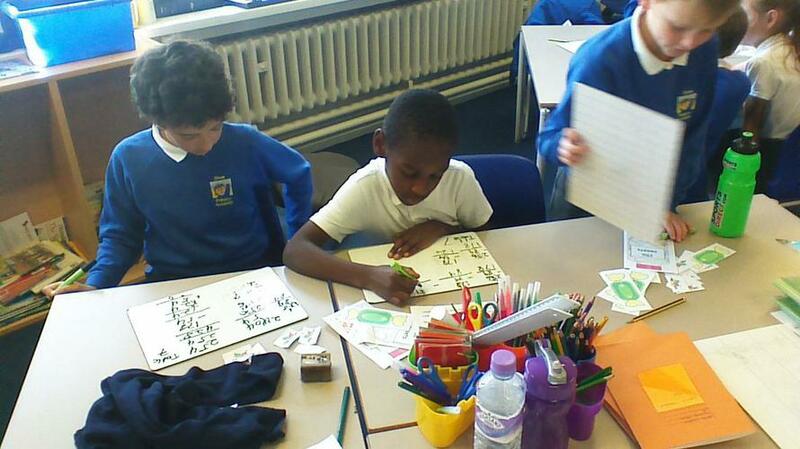 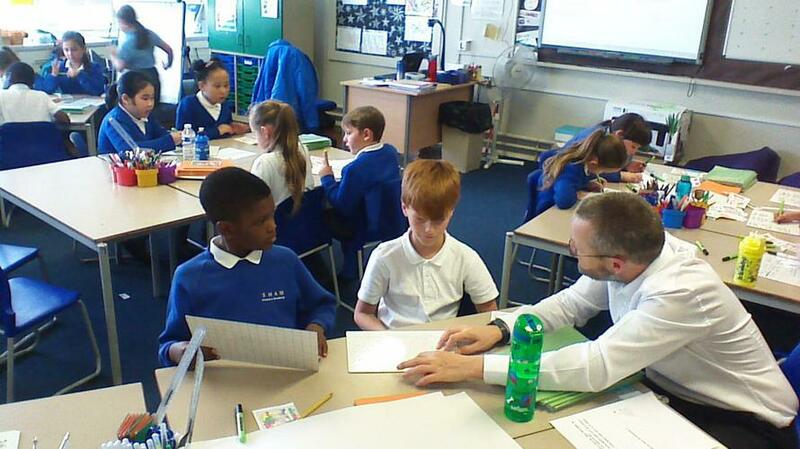 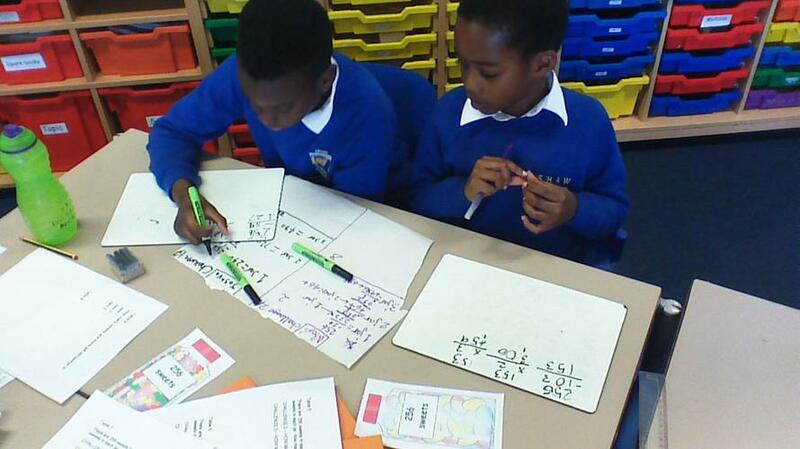 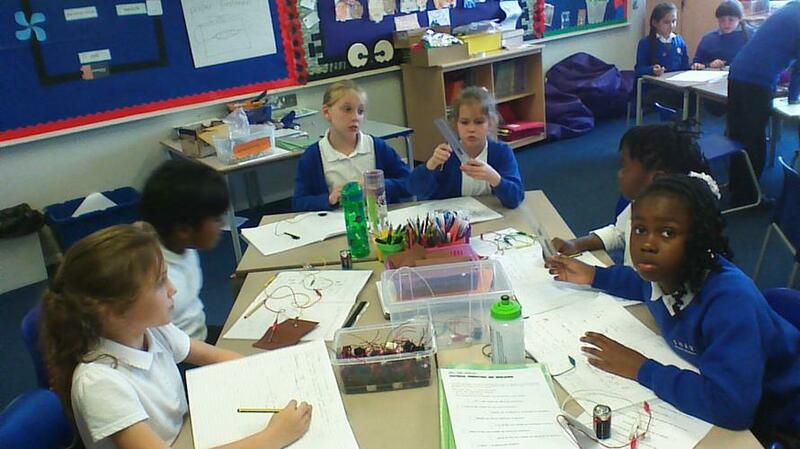 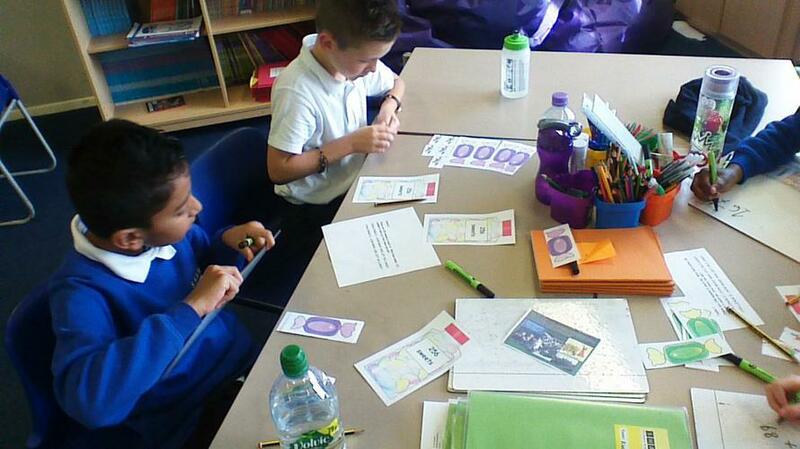 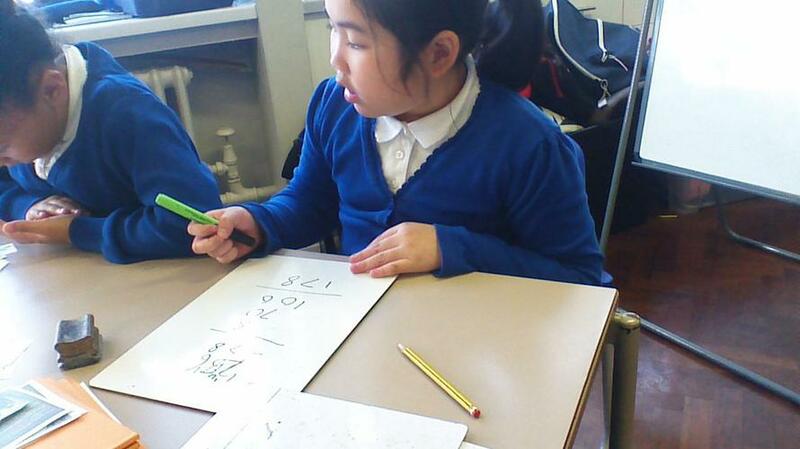 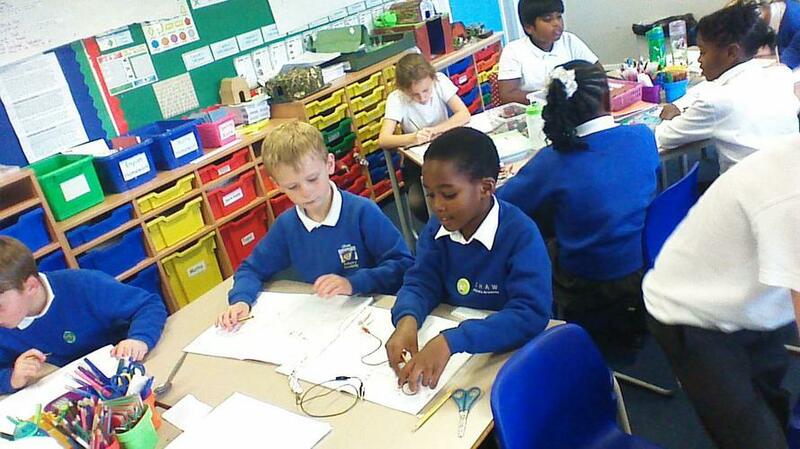 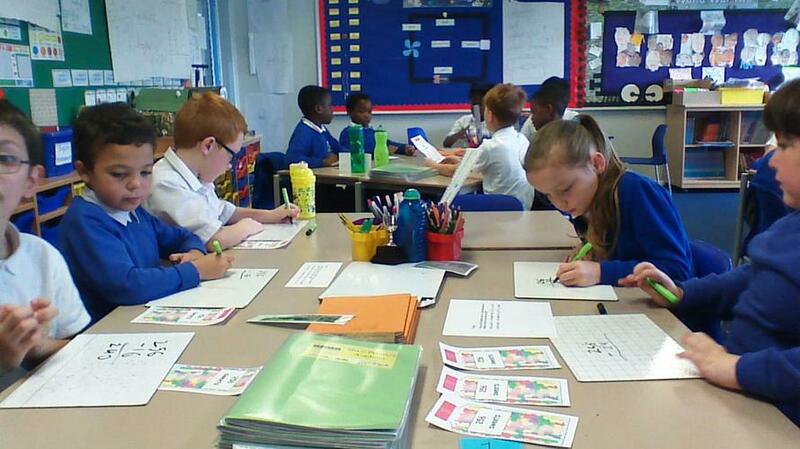 Currently we are increasing our knowledge of addition and subtraction. 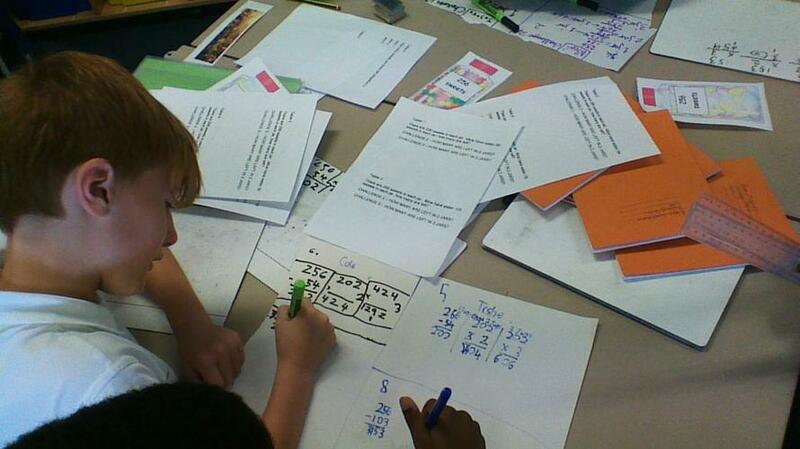 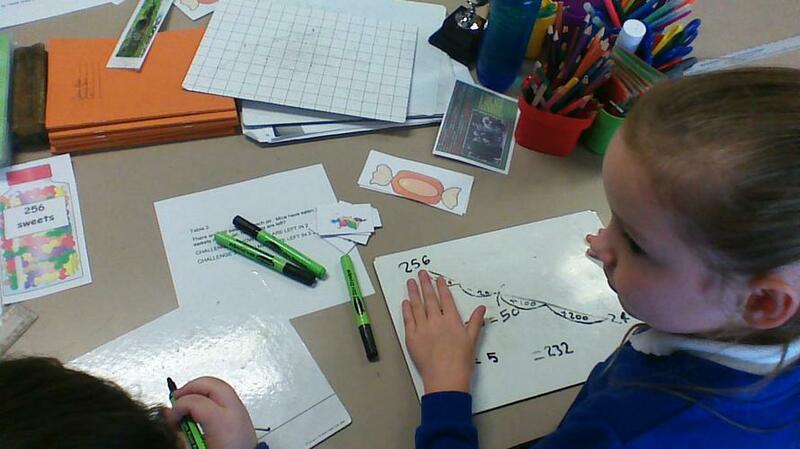 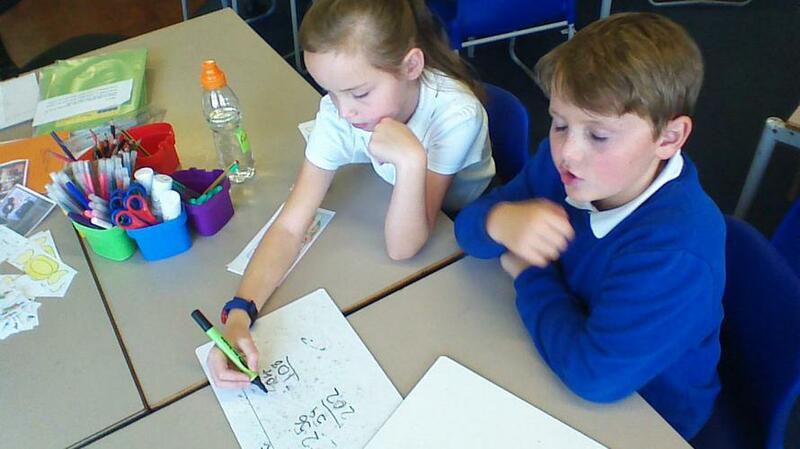 Carrying out calculations from 2-digit to 4-digit numbers, along with real life word problems. 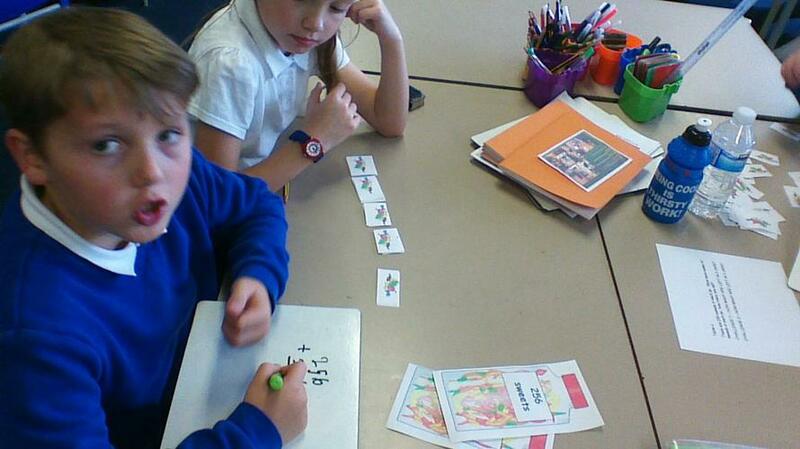 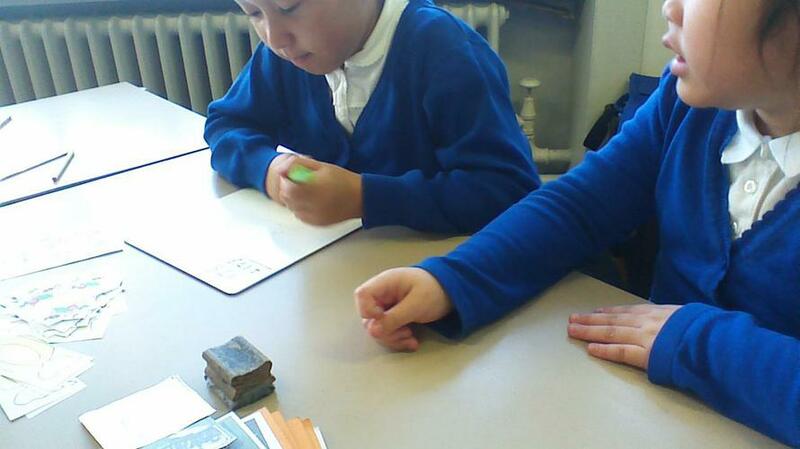 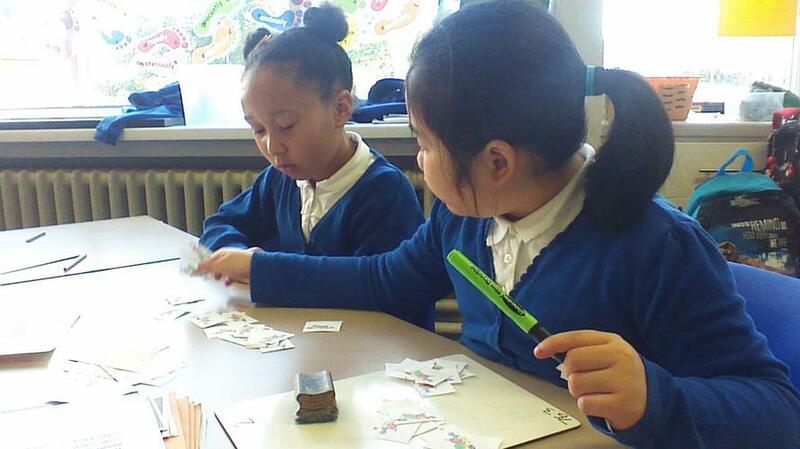 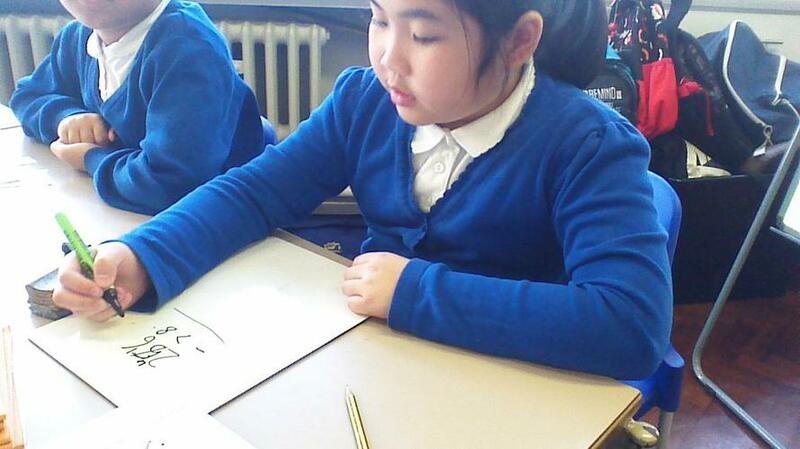 Prior to beginning this topic we carried out a practice and fun activity to see what we could remember from year 3. 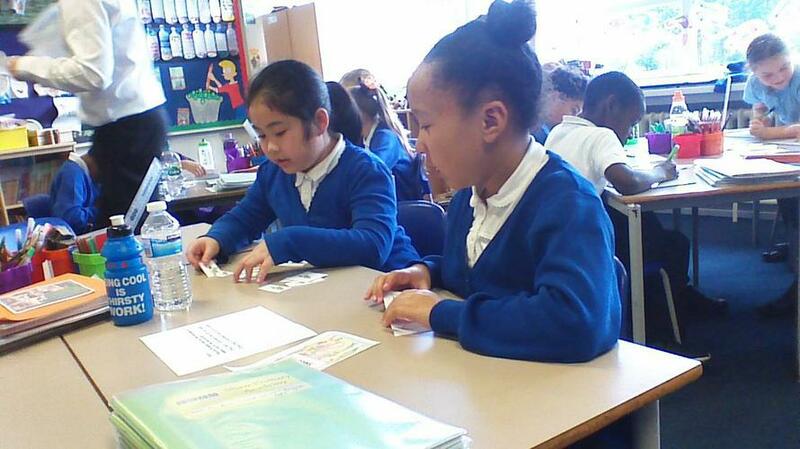 As we begin a new week in maths, again we are using practical and fun activities to show what we already know about addition and subtraction. 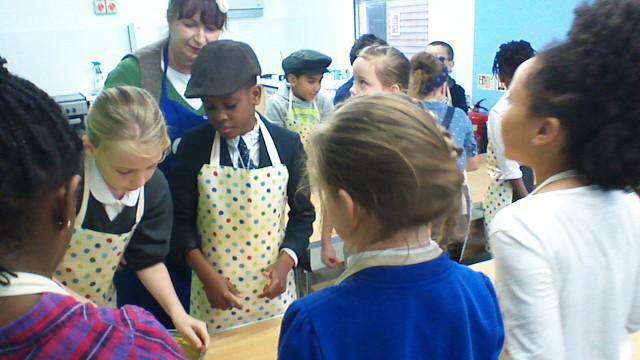 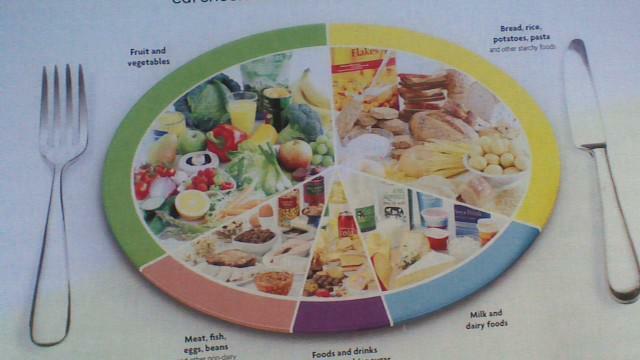 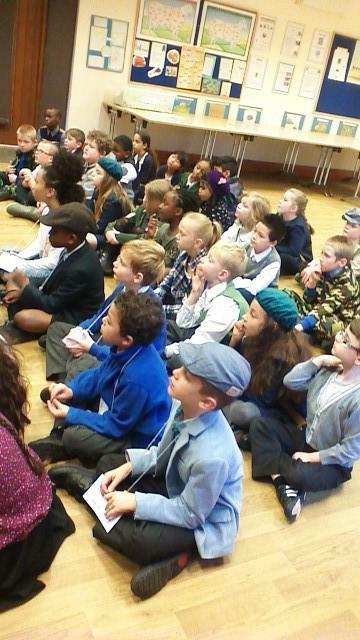 Our topic this term is WW2, and we have been learning about life in Britain during the war. 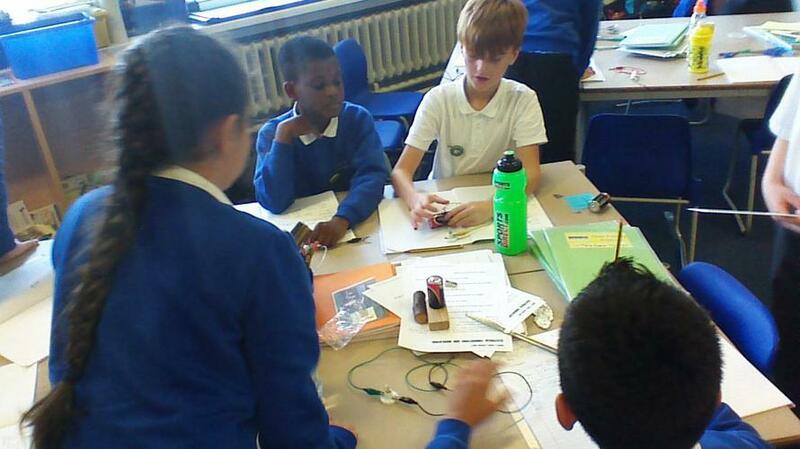 Examining the causes, effects and destruction of London within this period. 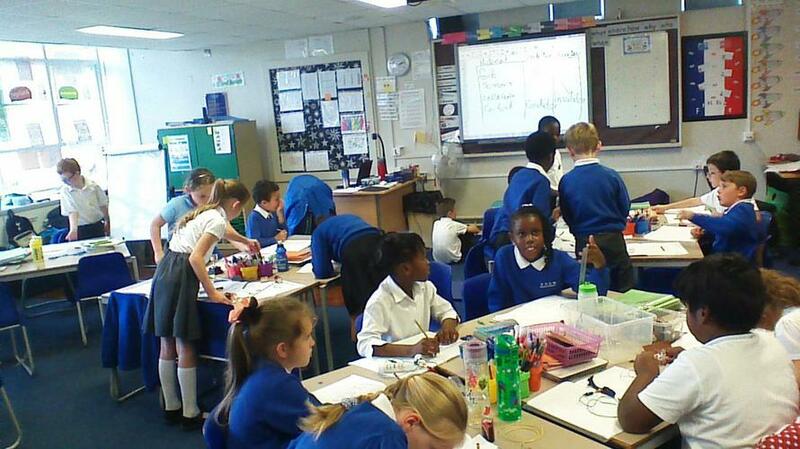 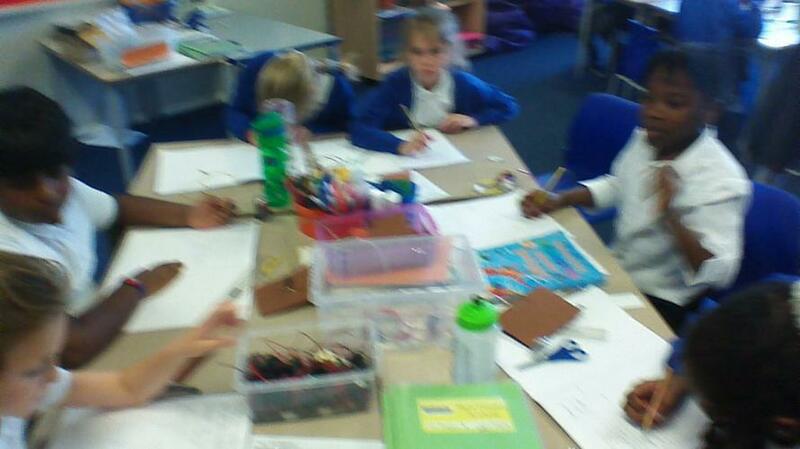 Creating black out posters, art work from the skies above London and constructing our own Anderson Shelters. 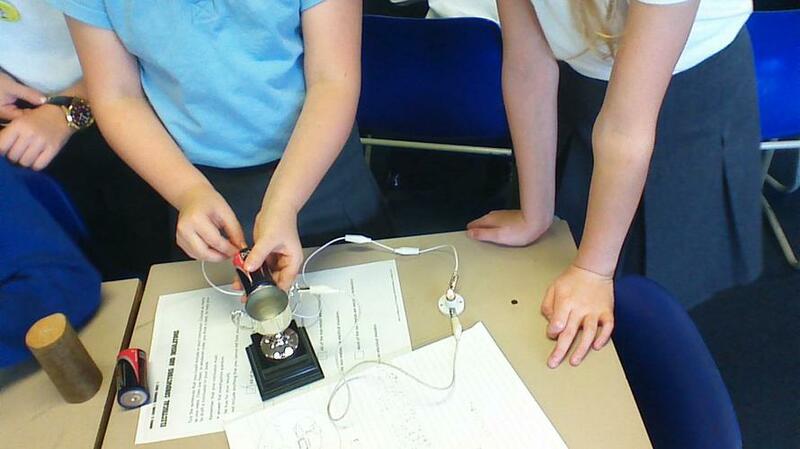 We have been learning about electricity and how it works. 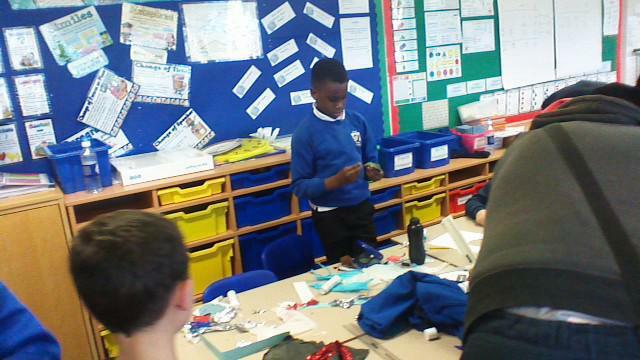 Initially, we were given all the materials needed to create a working circuits and asked to create one with no prior knowledge, working in groups really helped us to experiment and help each other. 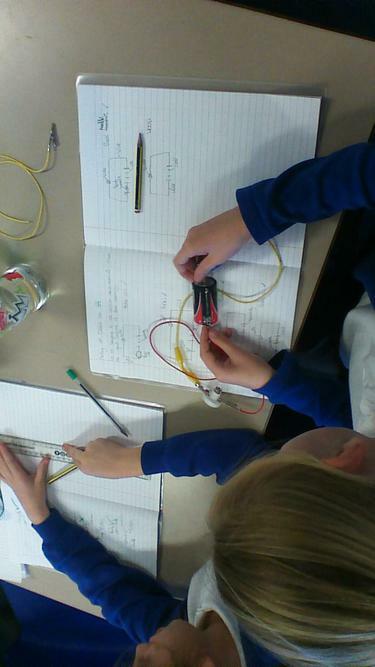 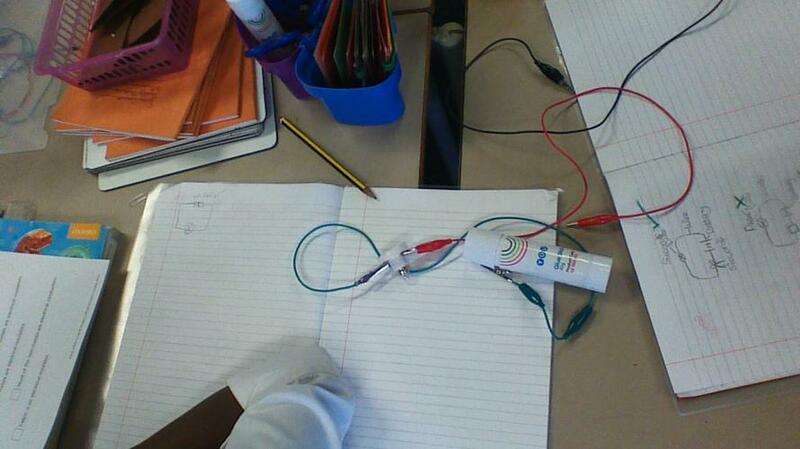 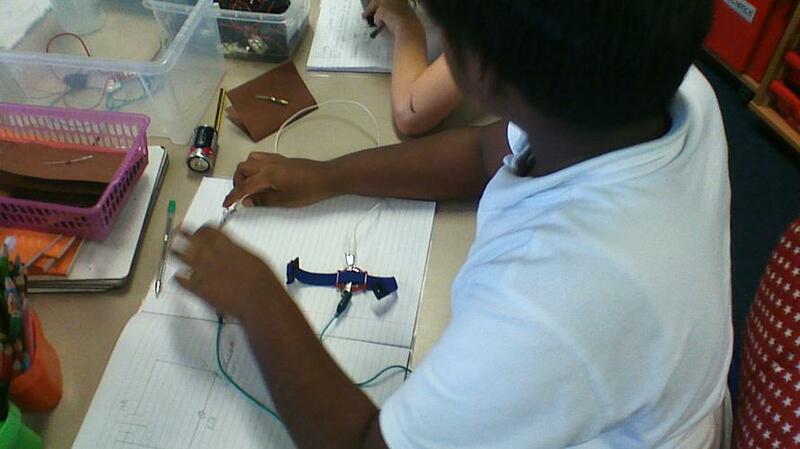 We then moved onto making and using switches that would work within a circuit. 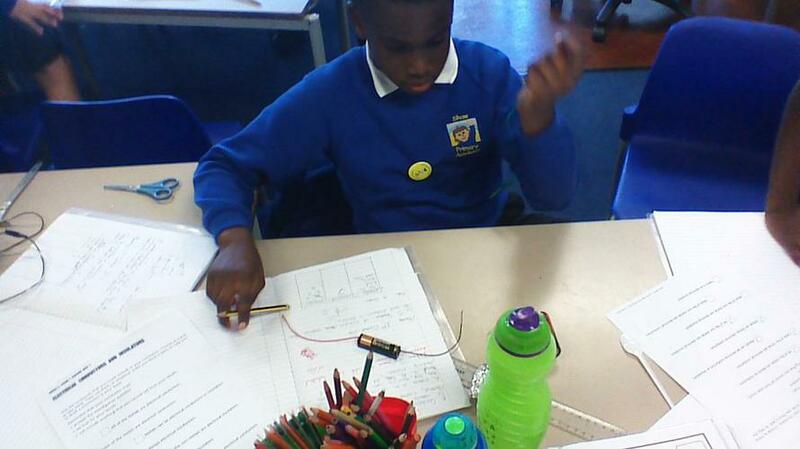 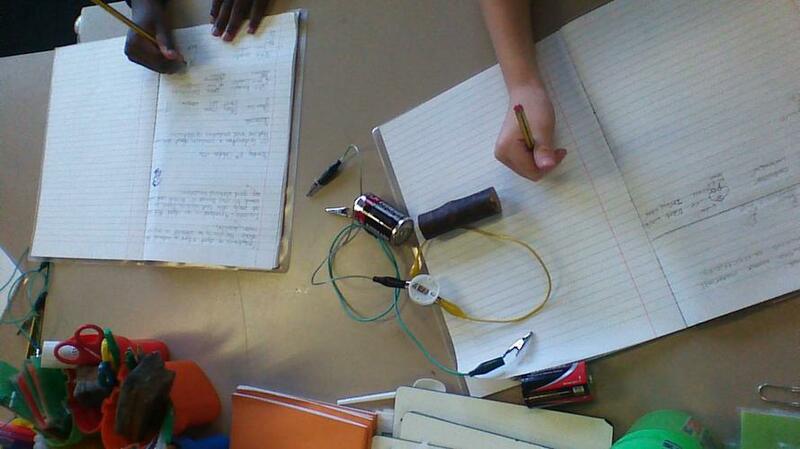 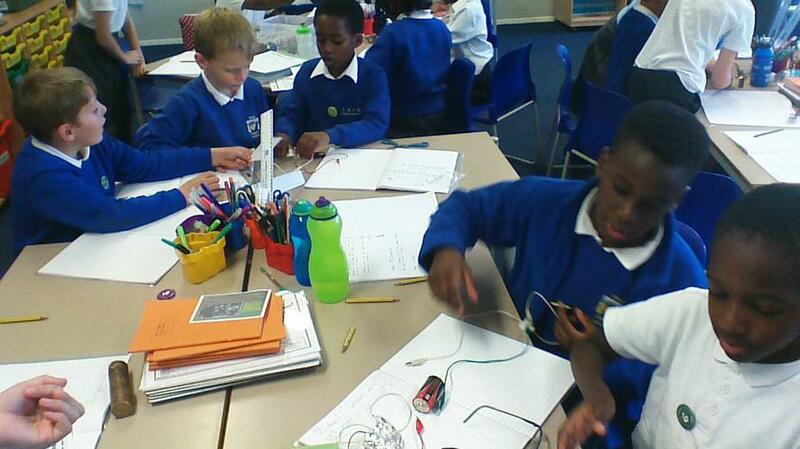 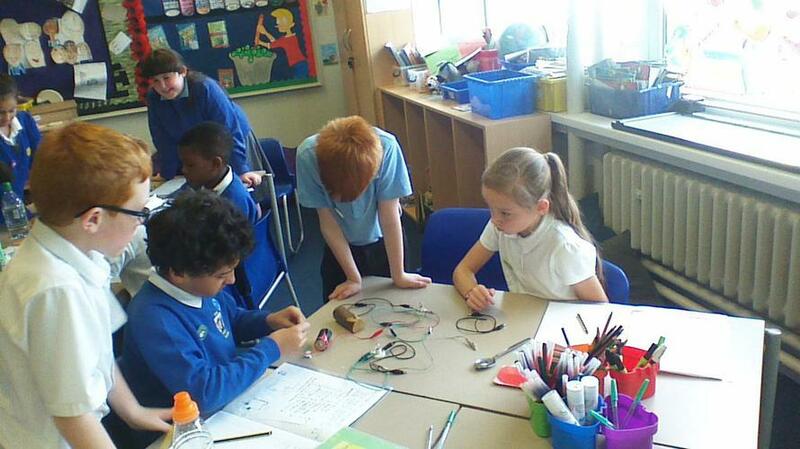 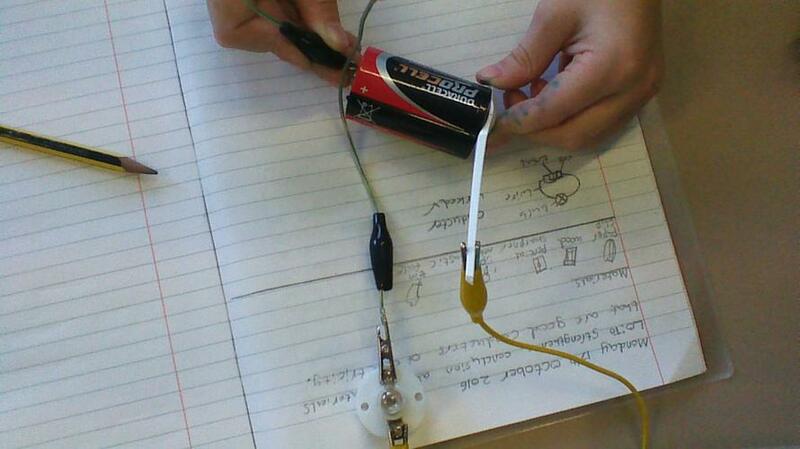 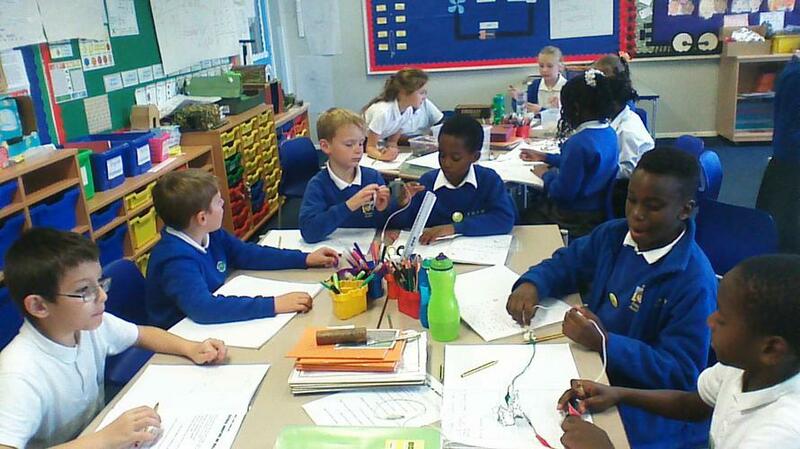 We have been learning about the best conductors to use with electricity. 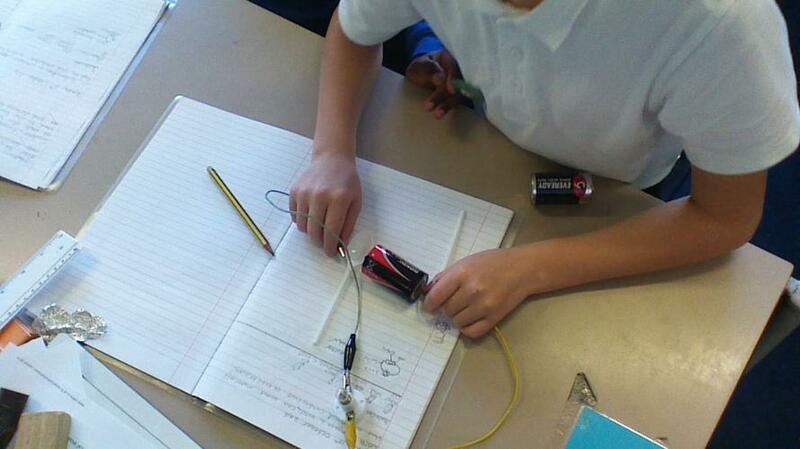 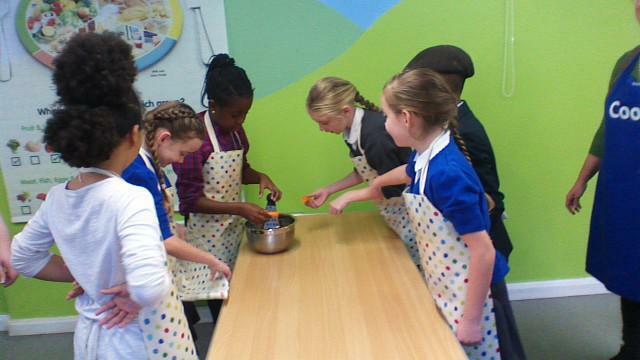 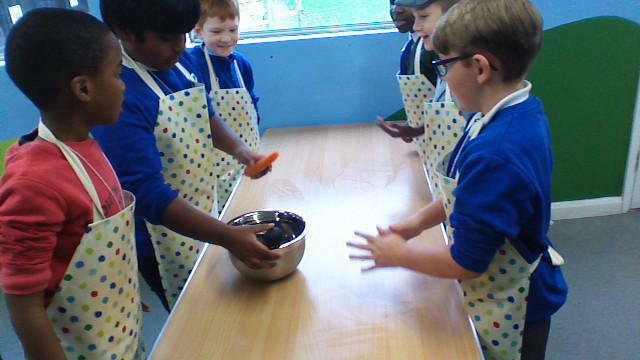 Carrying out an experiment to test a range of materials that allow or do not allow electricity to flow through them. 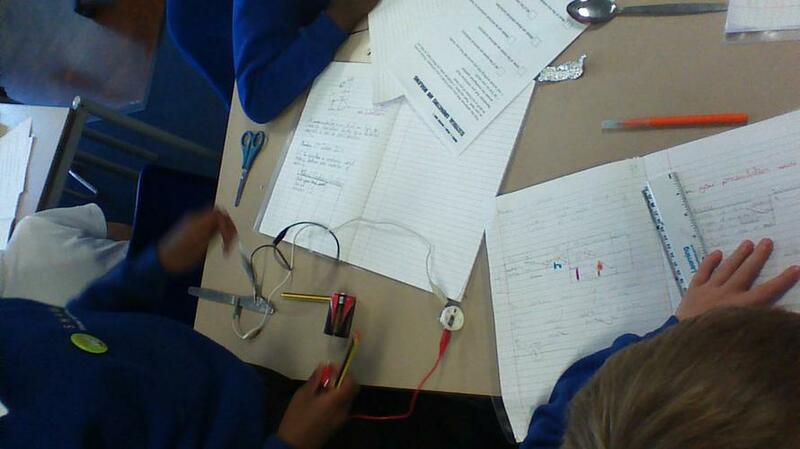 This week in science we have been carrying out experiments to test a range of materials that conduct or insulate electricity. 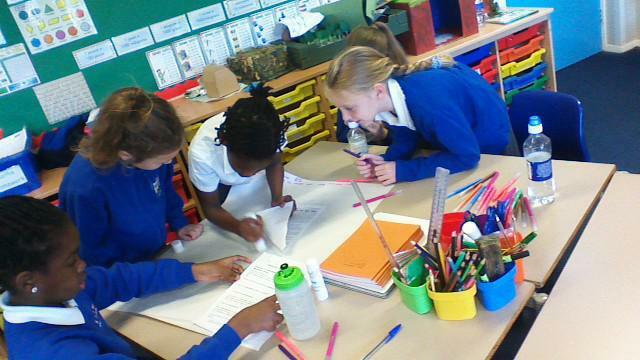 In groups we identified the key features of poems, documenting our evidence using flipchart paper with annotated features. 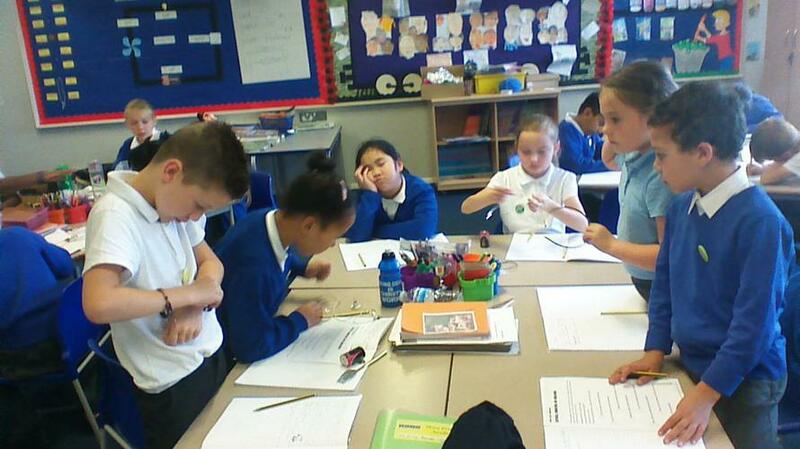 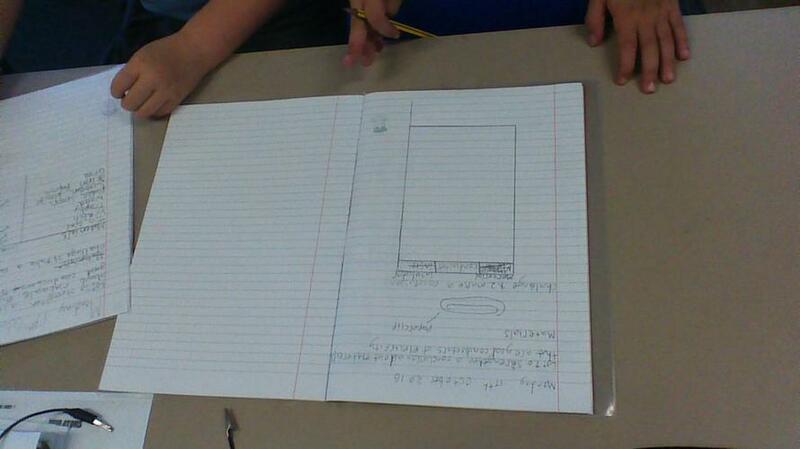 Later we looked into the features of newspaper reports and identified the features as a group. 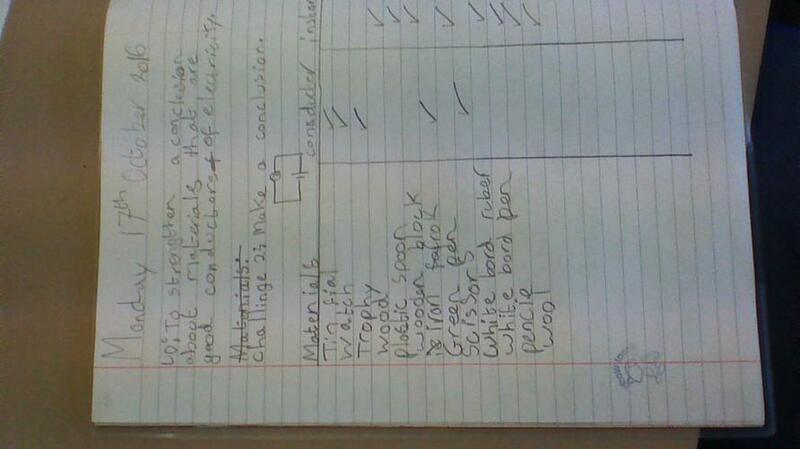 As we found each feature we highlighted the feature and logged it on the features checklist. 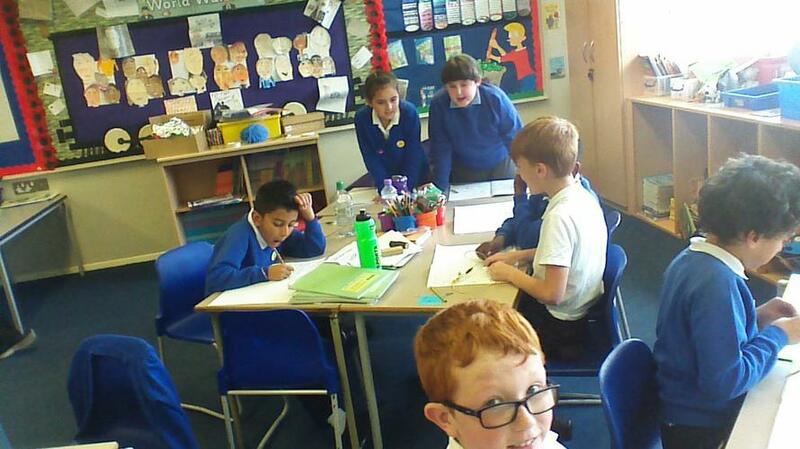 We used role play to help us get into the mind of a newspaper report and used interview questions to draw out the information that was needed to help create a newspaper report. 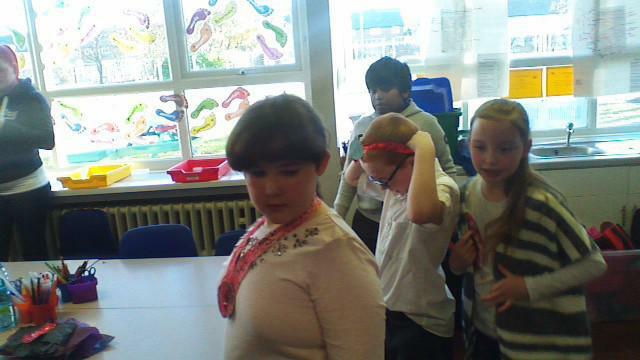 We really enjoyed acting out play scripts and taking on the role of other characters, using expression and intonation to deliver a confidence performance. 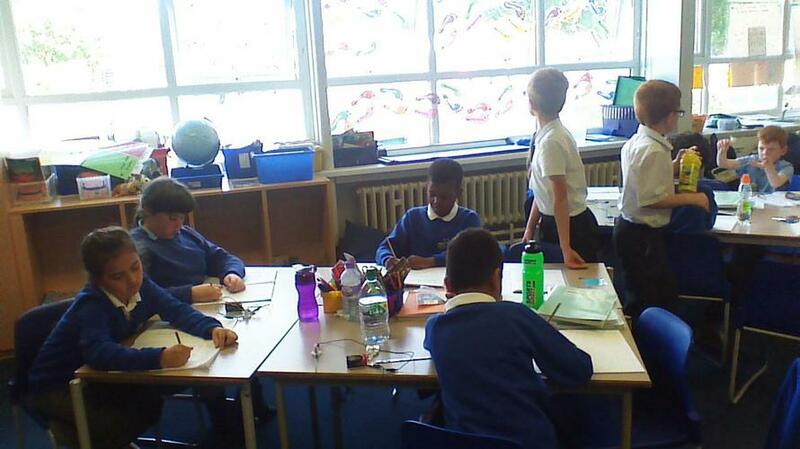 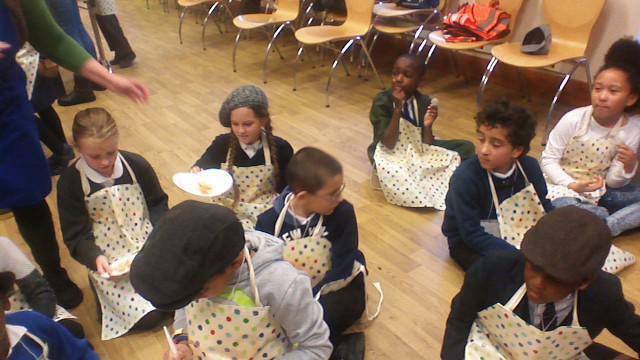 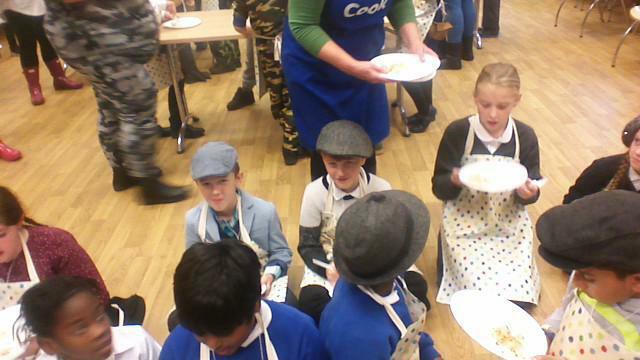 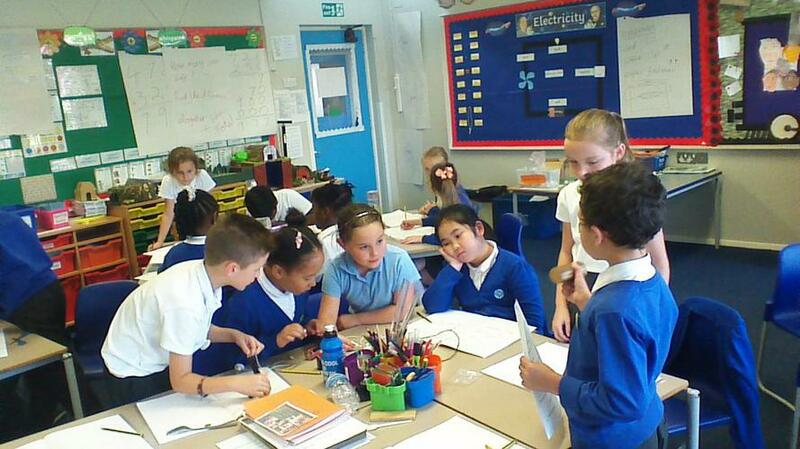 We spent a fantastic afternoon acting, role playing and learning facts about life during the war. 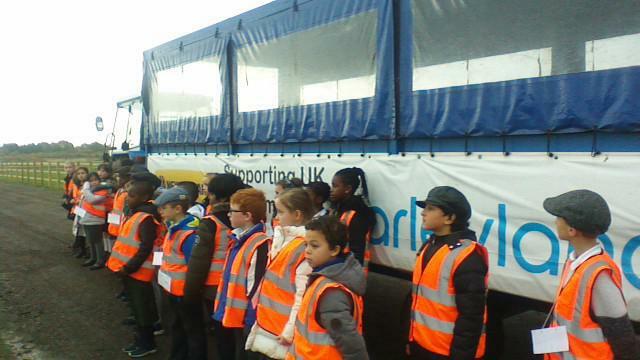 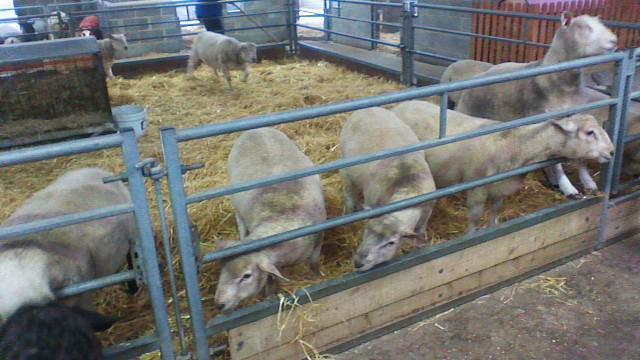 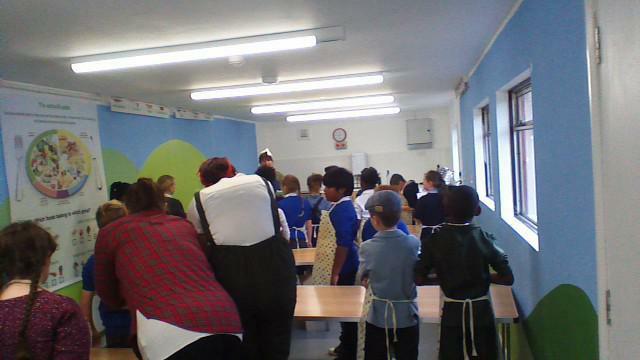 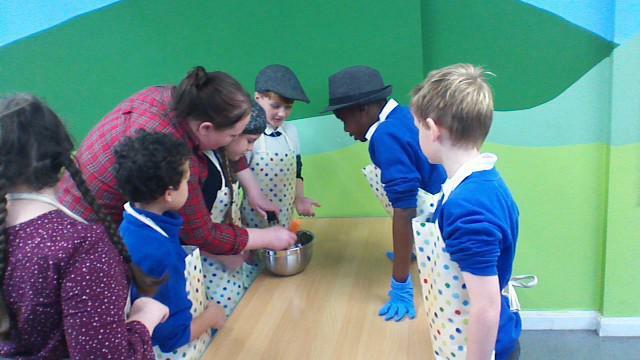 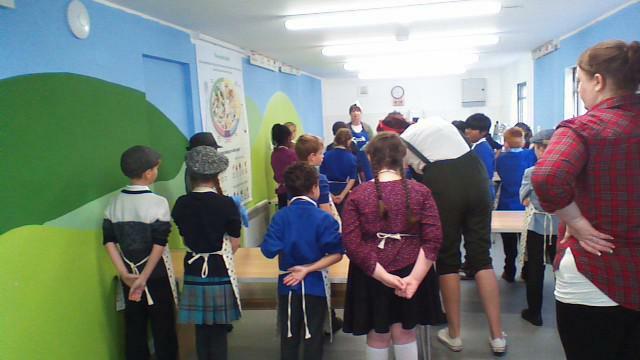 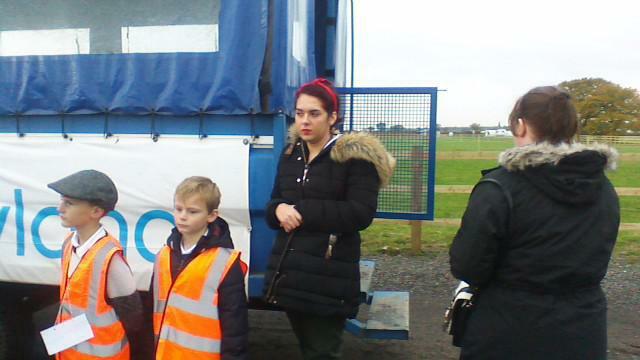 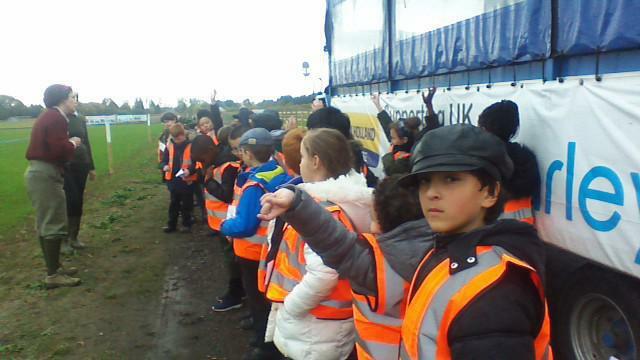 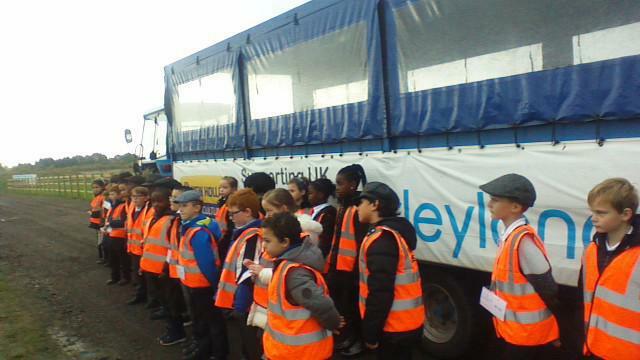 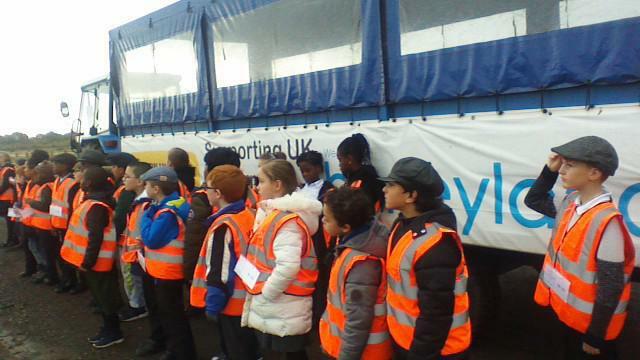 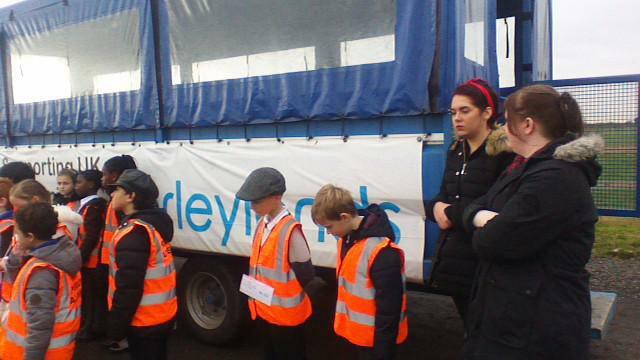 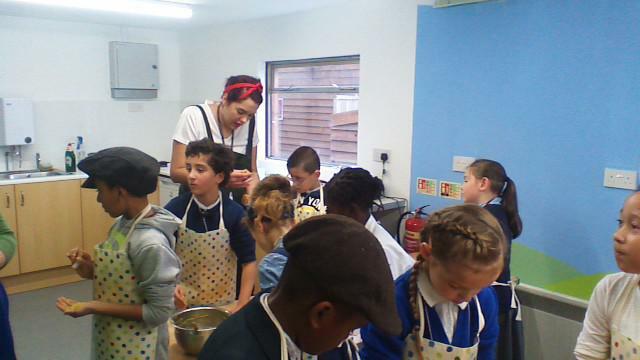 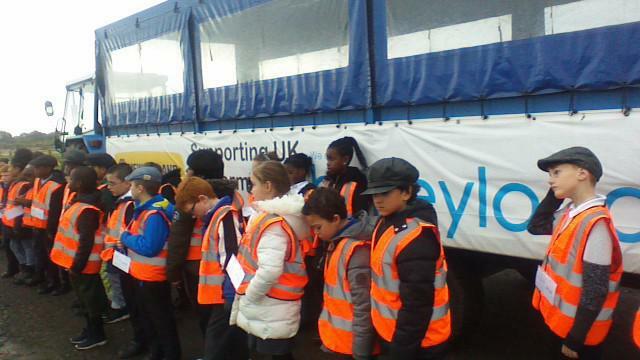 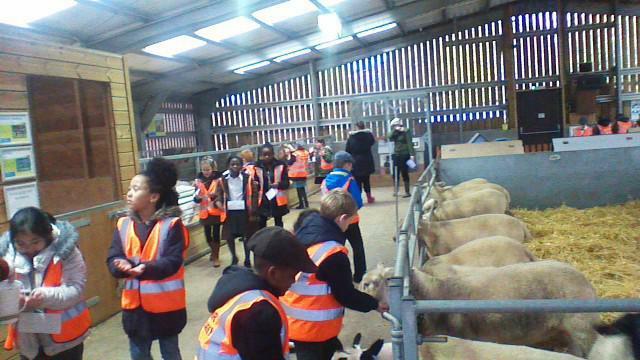 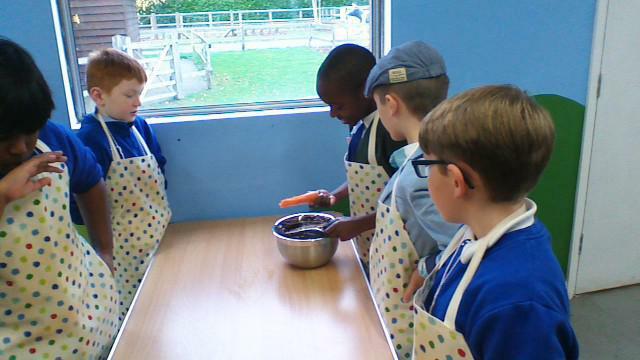 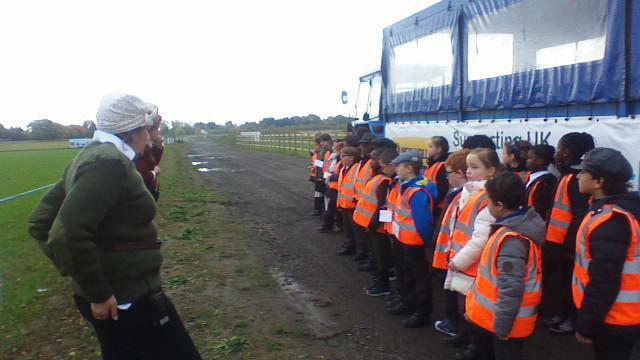 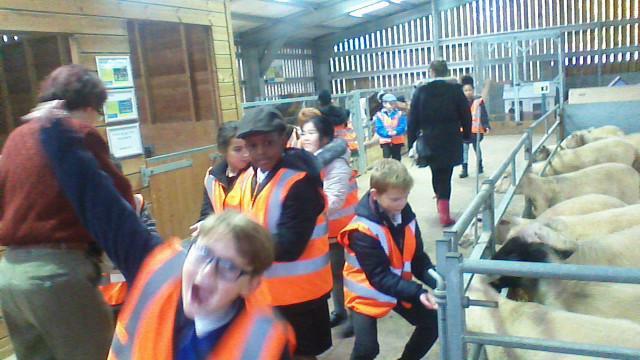 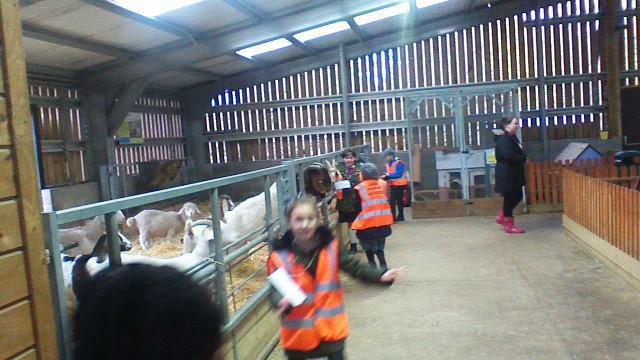 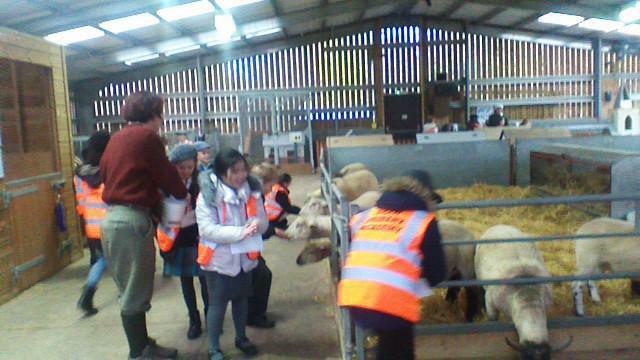 Year 4 spent the day on a real life farm, 'Barleylands' that was used during the second world war to grow food for the nation. 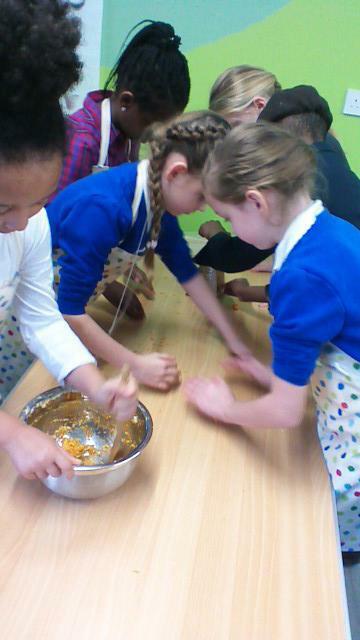 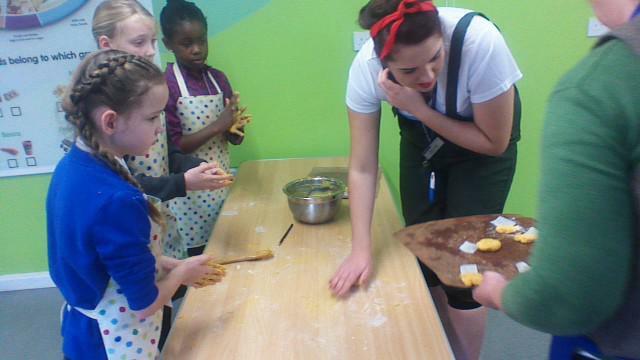 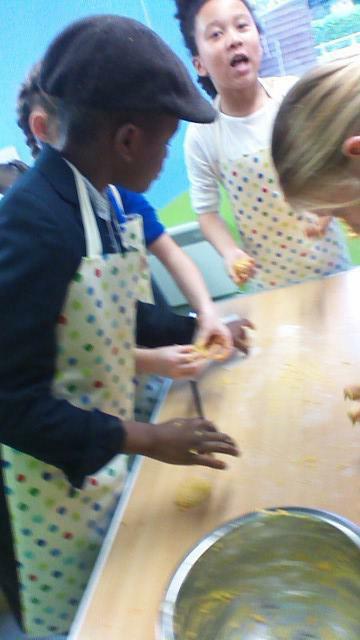 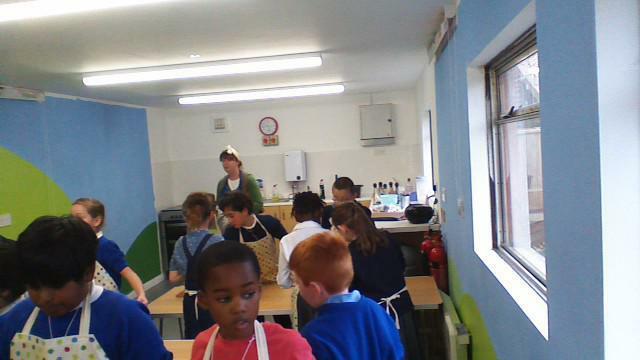 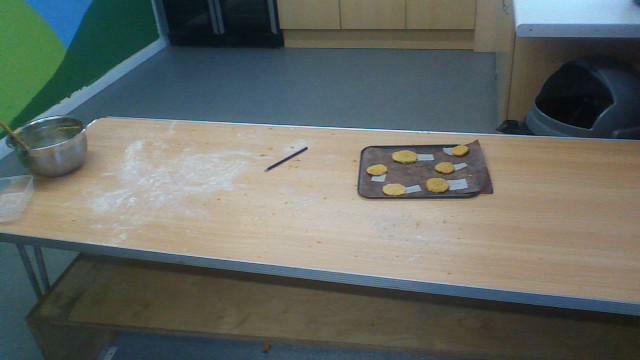 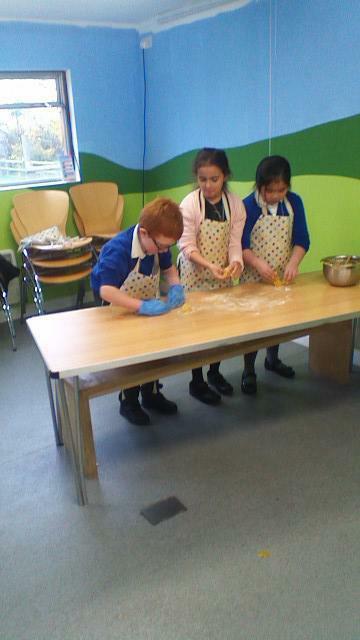 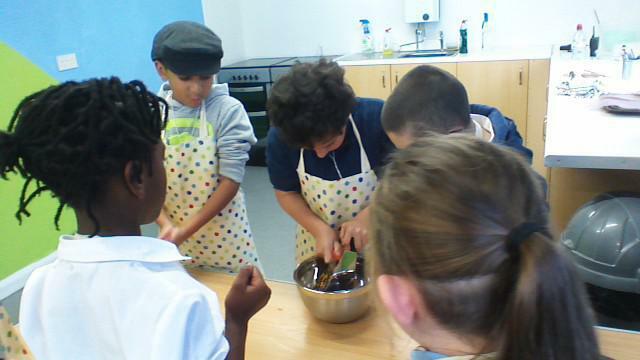 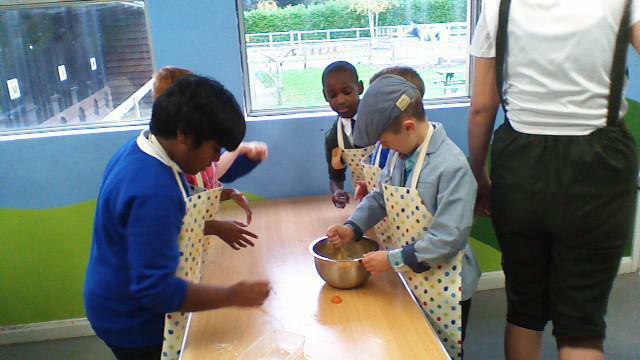 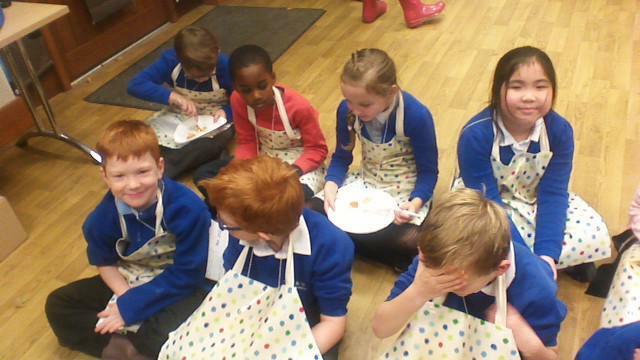 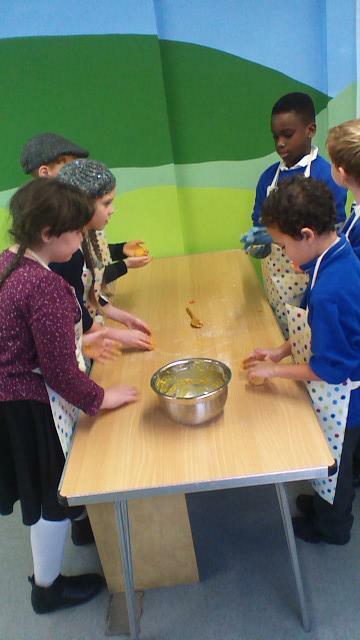 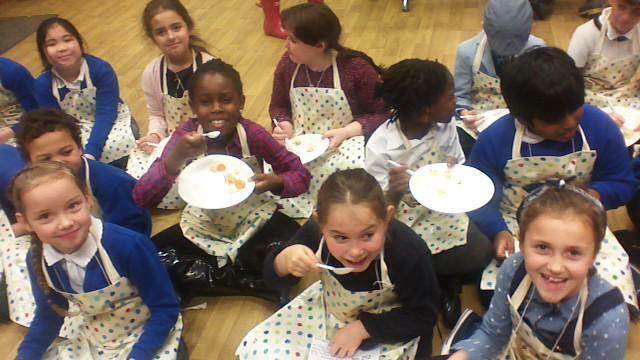 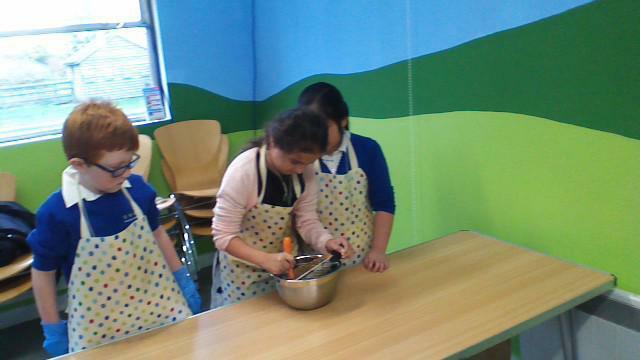 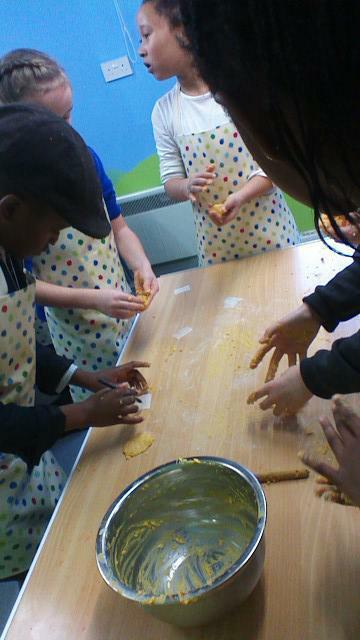 We made cookies and tasted pie that was made from vegetables that were grown on the farm. 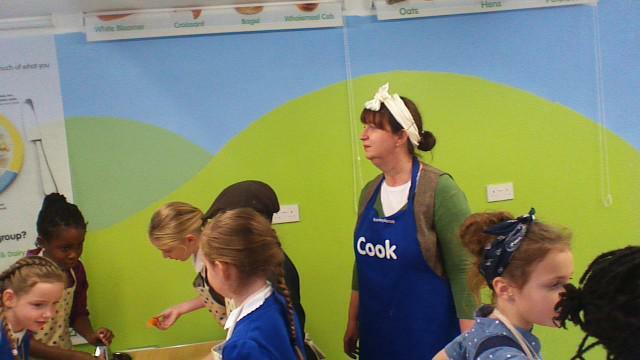 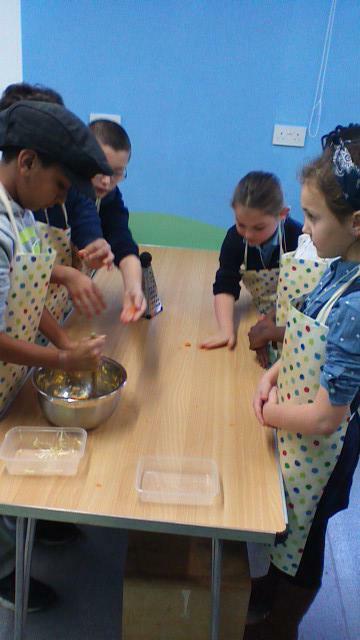 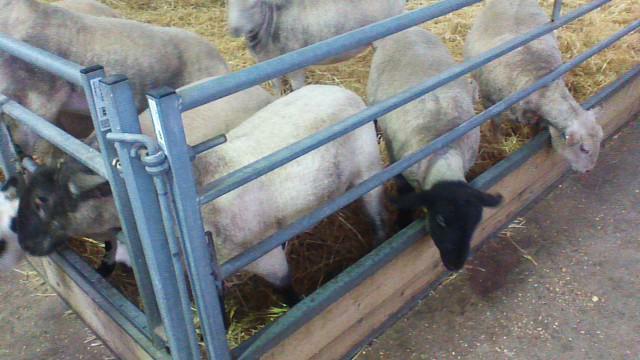 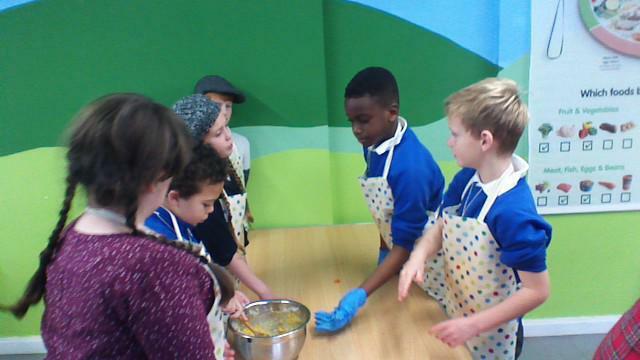 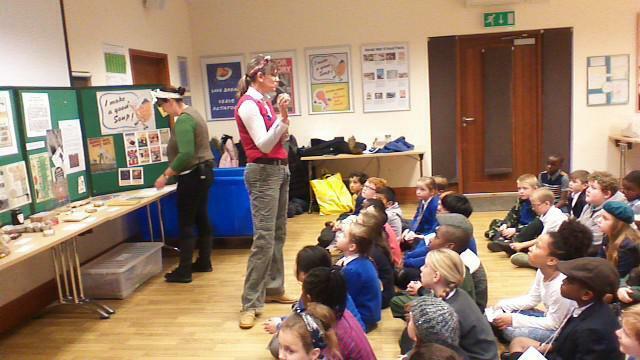 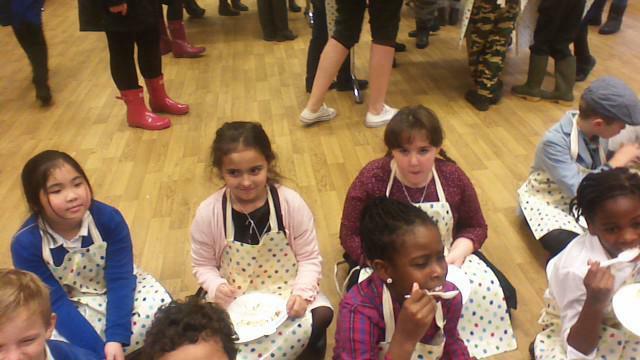 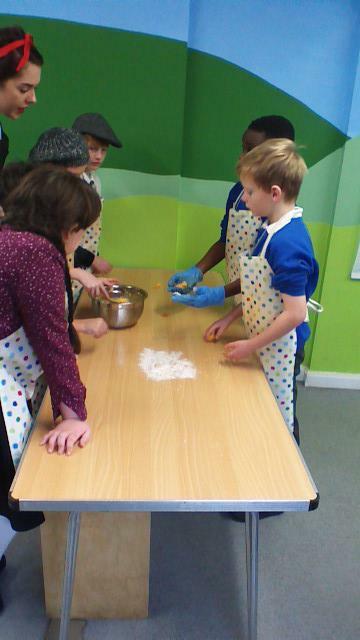 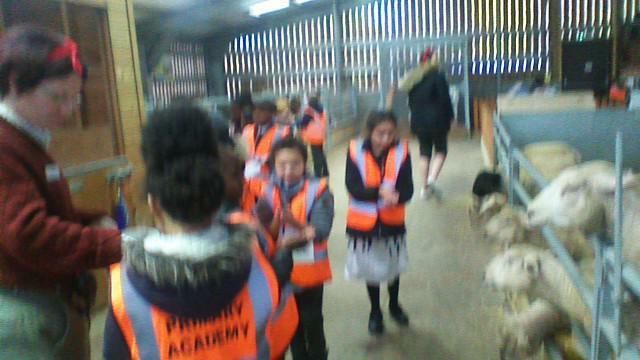 feeding the animals was great fun. 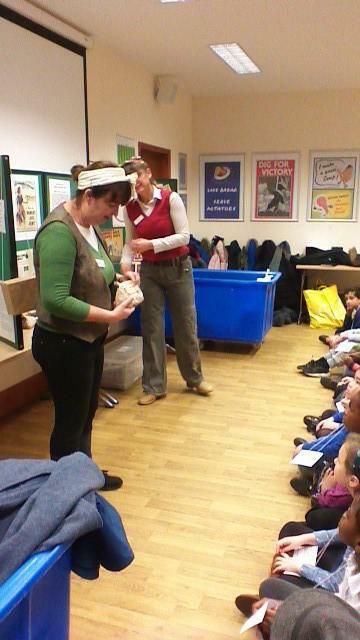 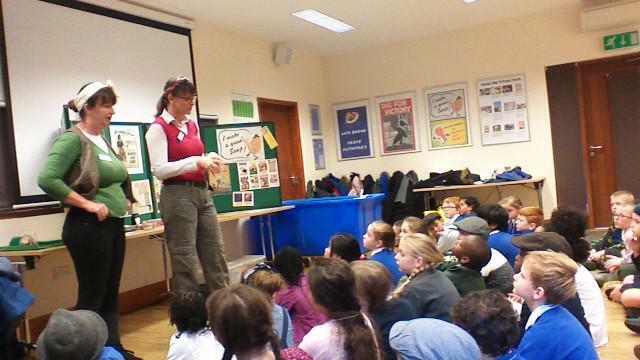 learning about rationing and the objects that had been collected after the war. 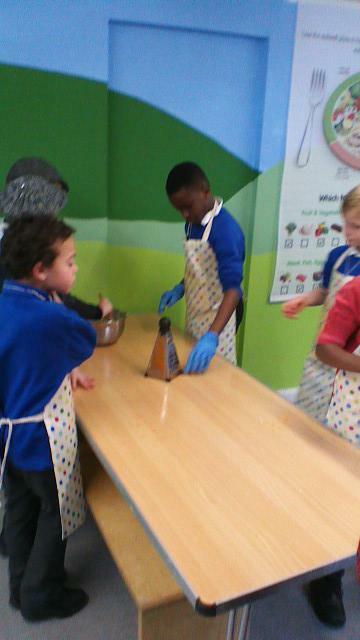 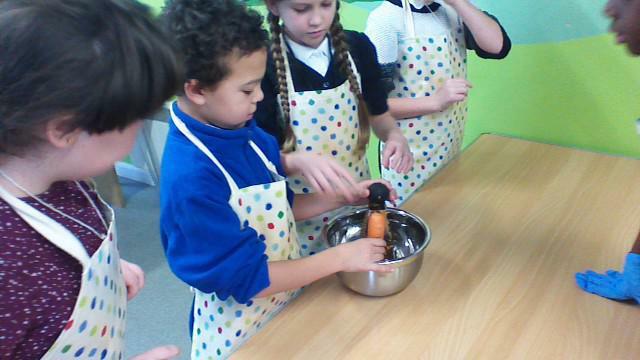 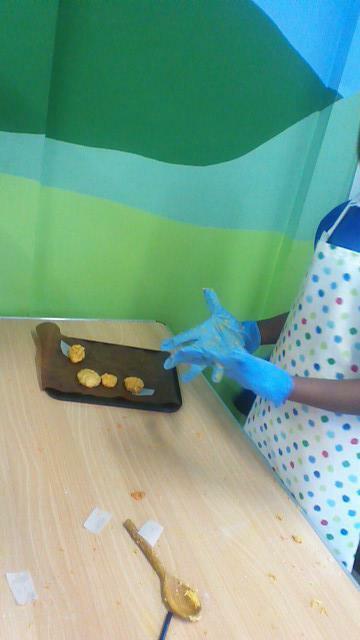 This term we learnt about states of matter. 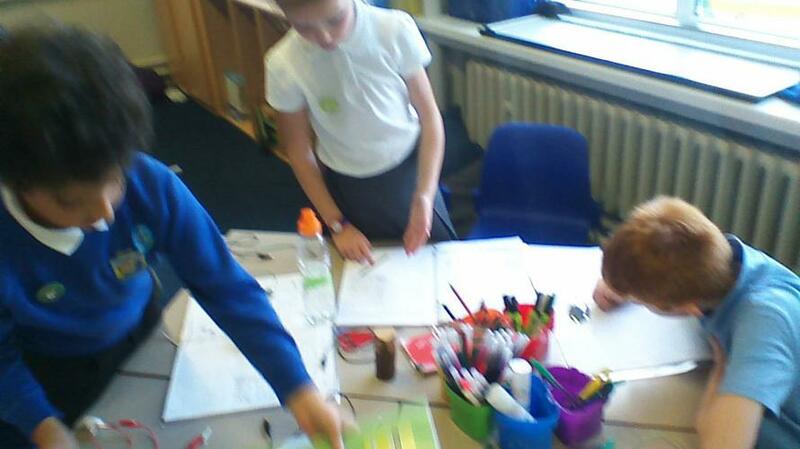 we know that there are three states of matter solid, liquid and gas. 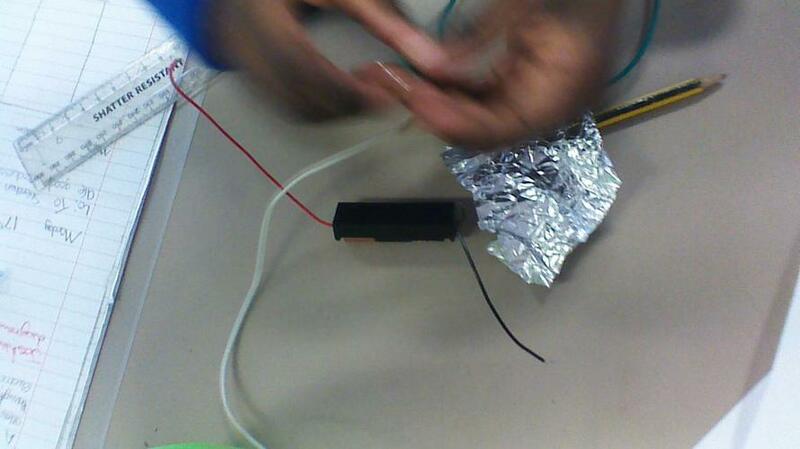 Some materials can exist in all three states when heated and cooled. 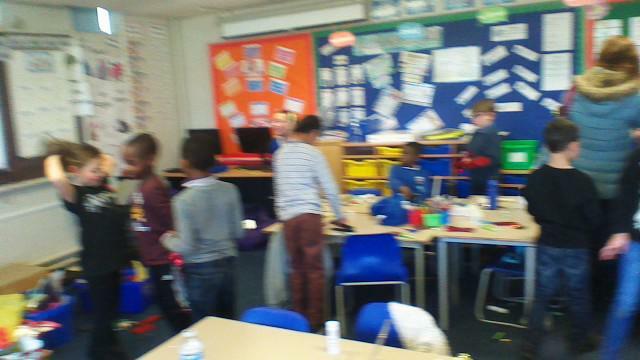 As a class we pretended that we were particles when holding up the tennis balls. 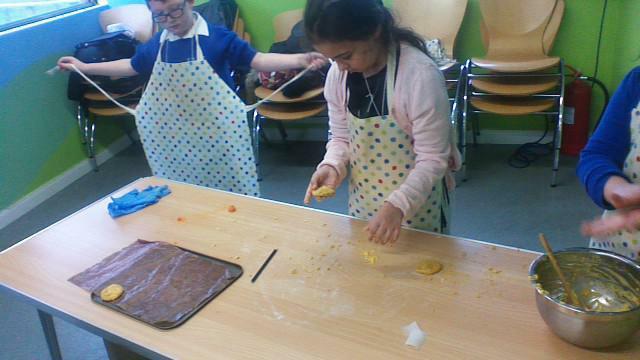 When the particles are tightly packed together they resemble solids, further apart and moveable liquids and finally when fat apart they take on the shape of gases. 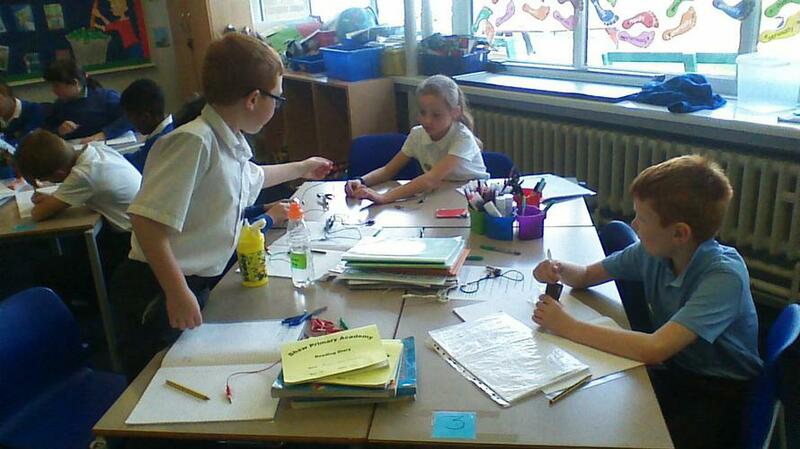 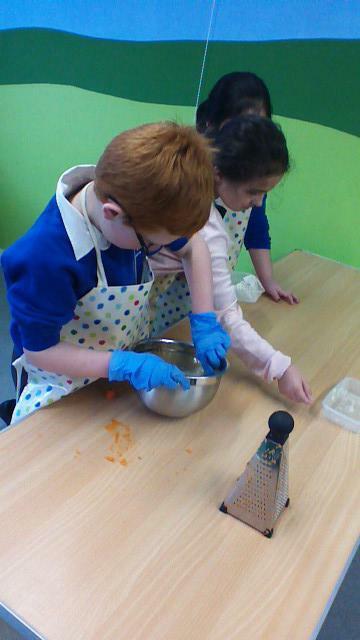 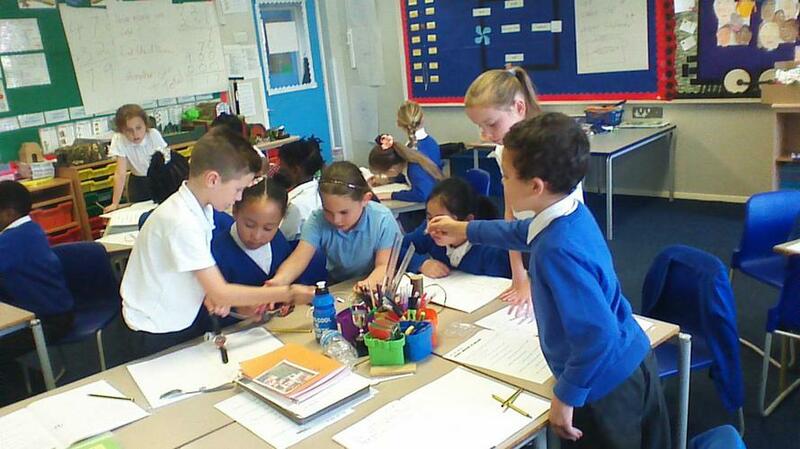 We carried out an experiment to understand how heat can change ice back into a liquid. 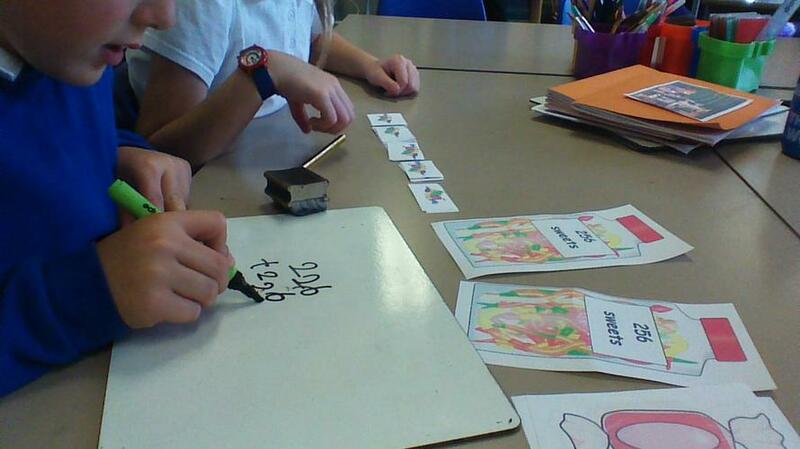 Documenting the time taking for the ice to melt. 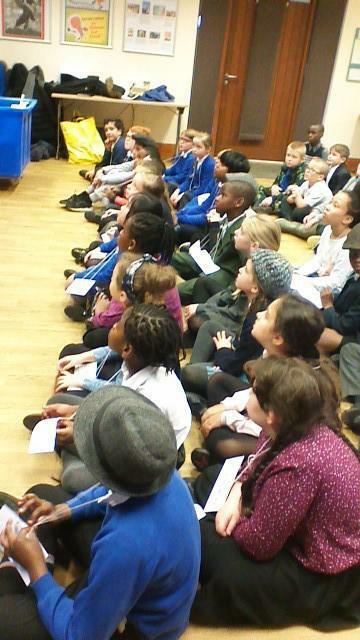 After our informative assembly all about what we had learnt this term. 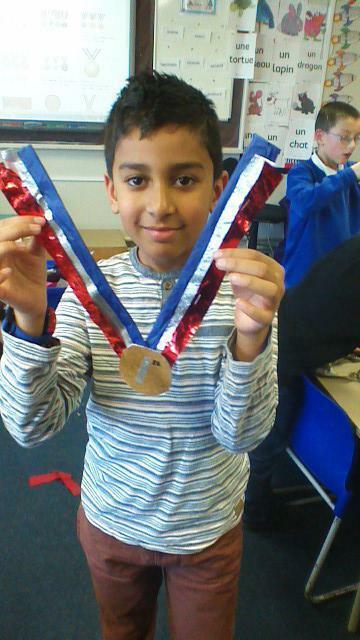 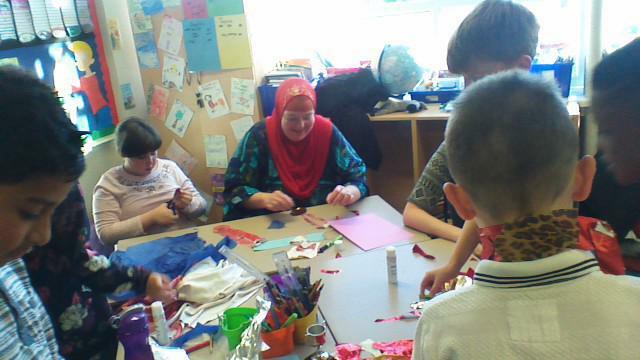 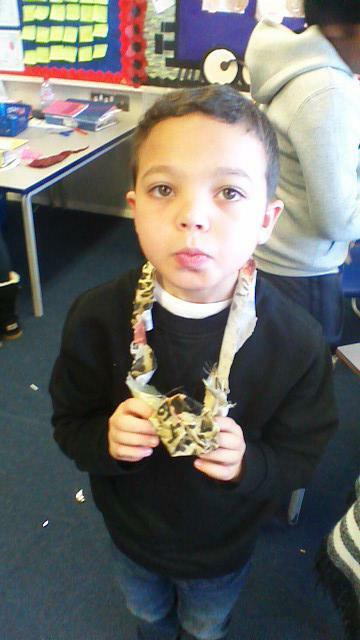 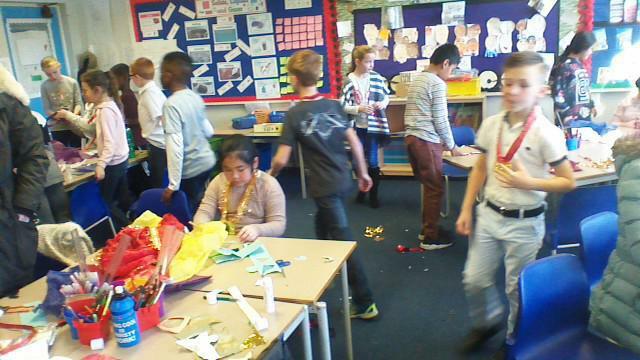 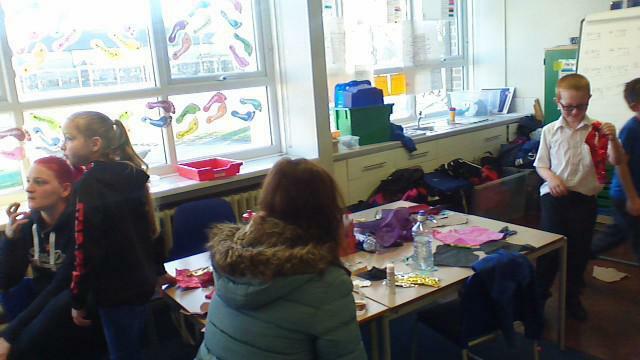 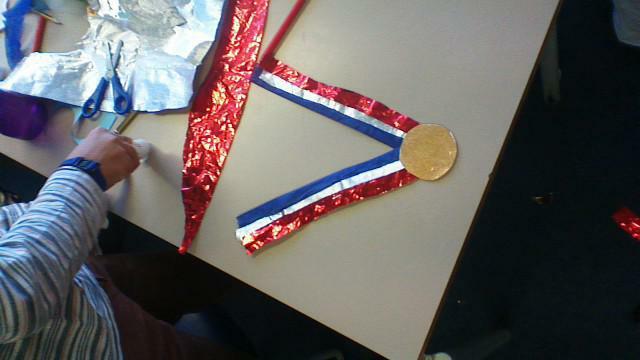 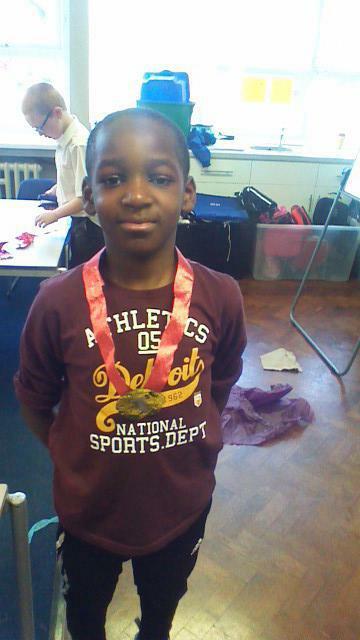 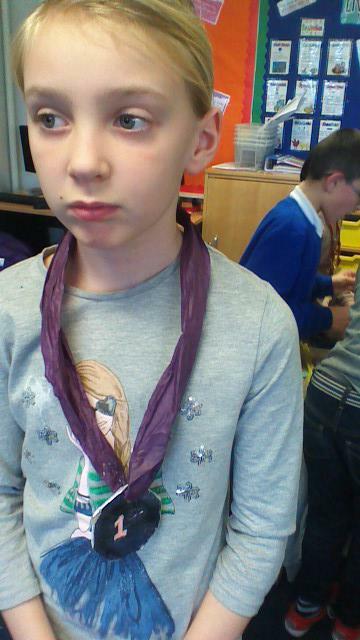 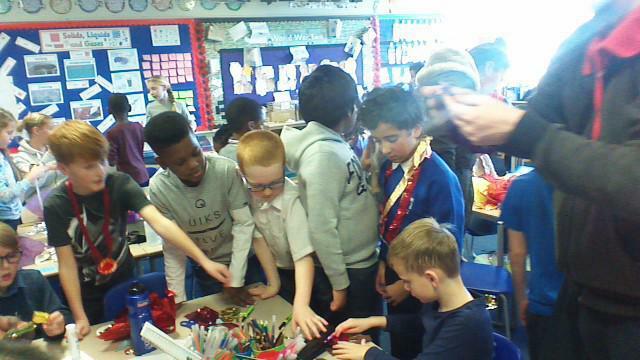 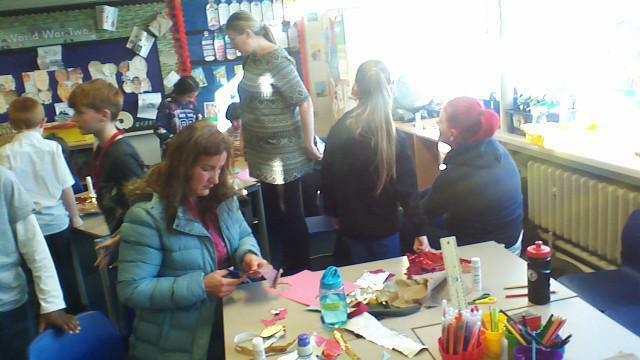 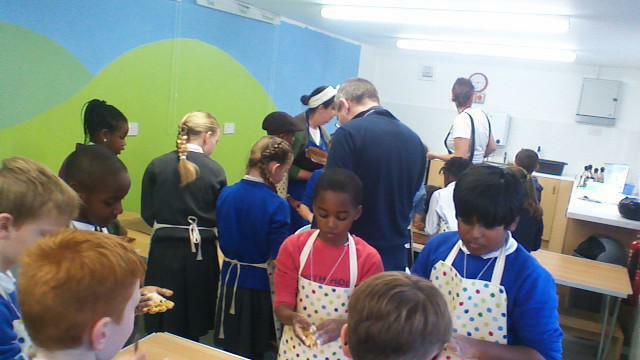 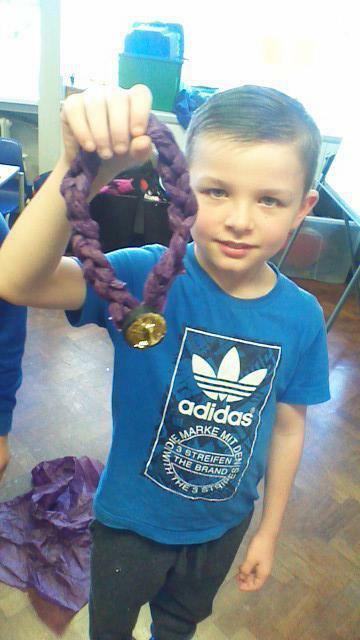 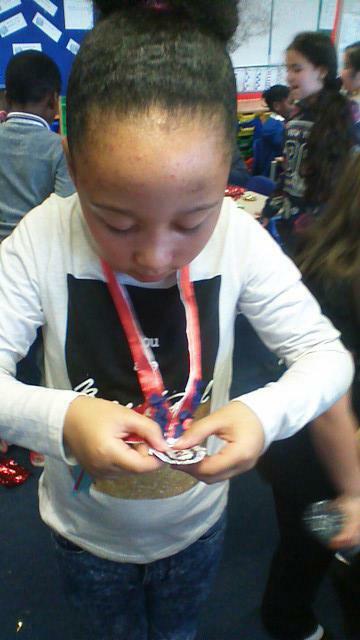 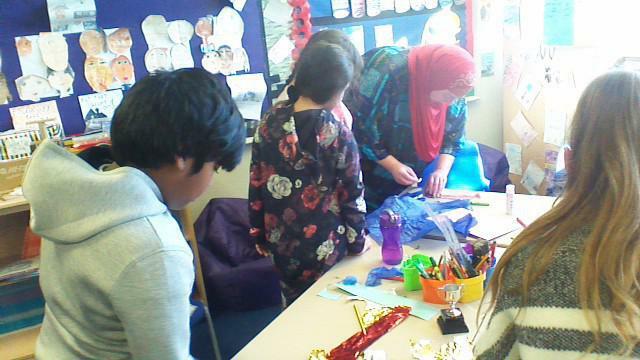 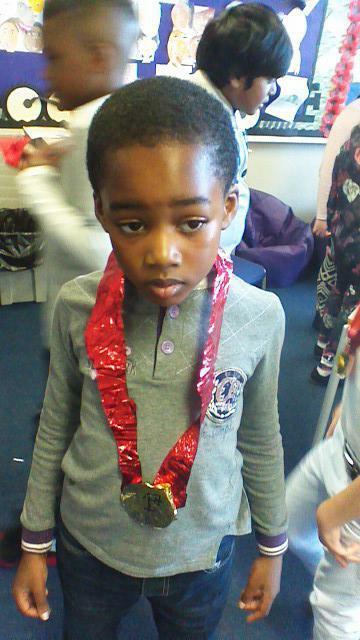 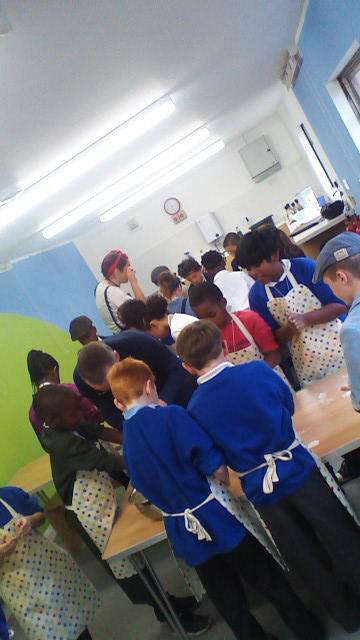 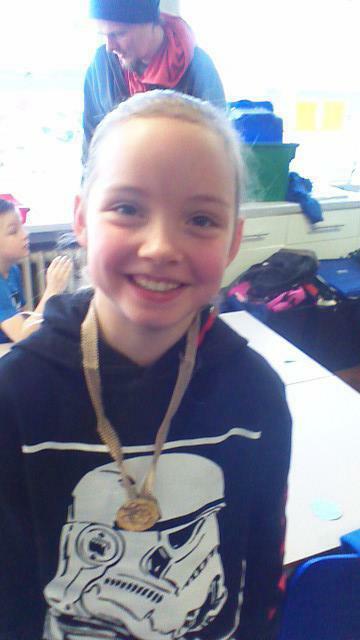 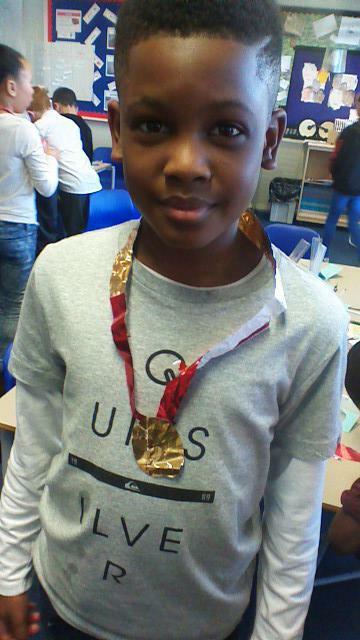 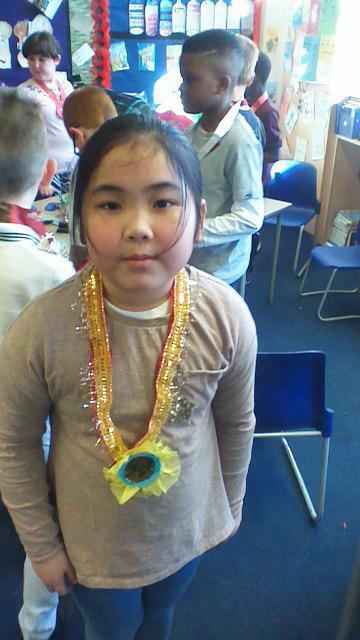 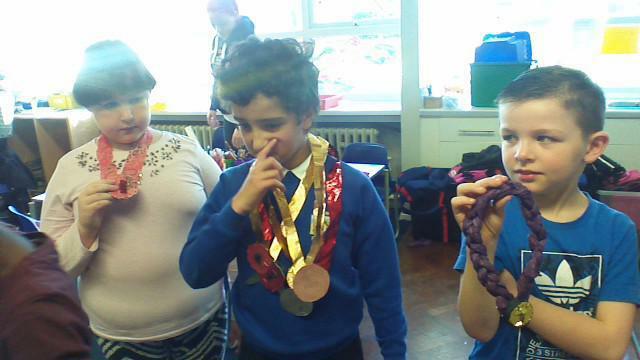 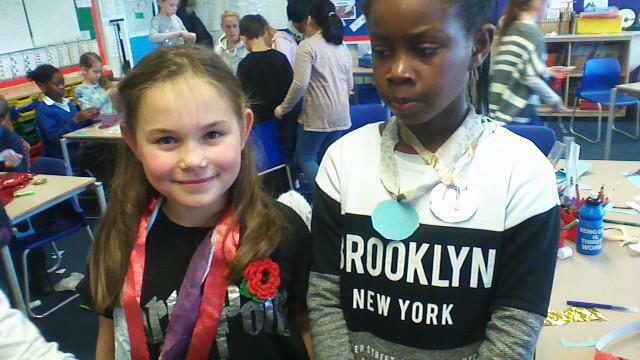 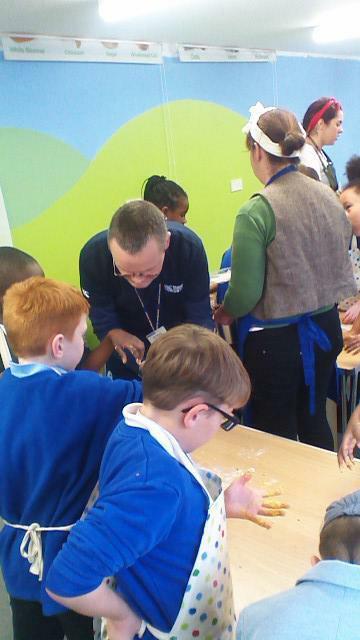 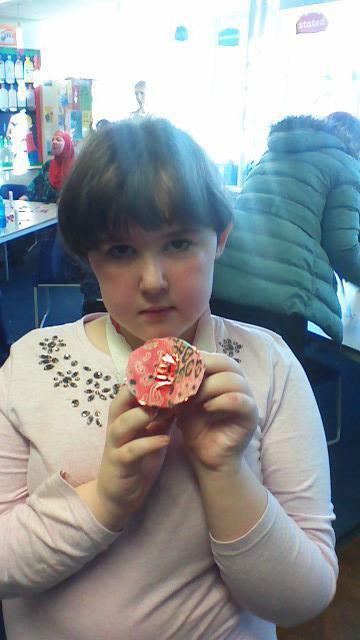 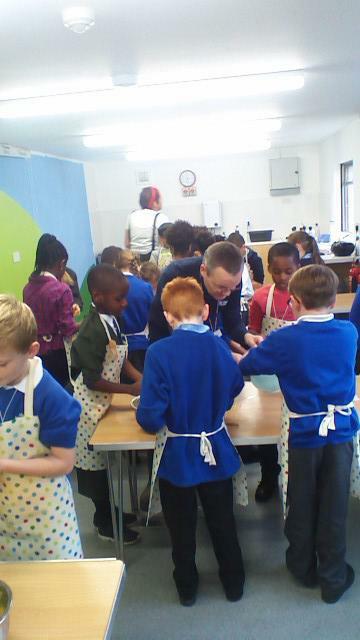 Parents were invited back to the classroom to help us create medals using design and technology. 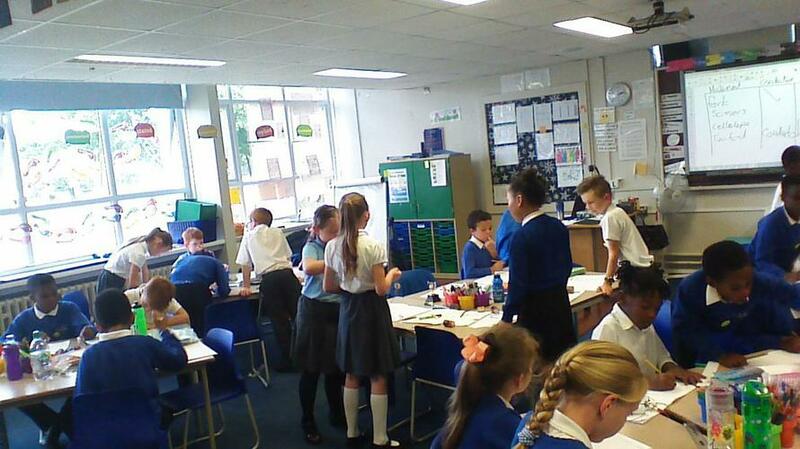 We invited parents into our class to help us create pictures using pastels. 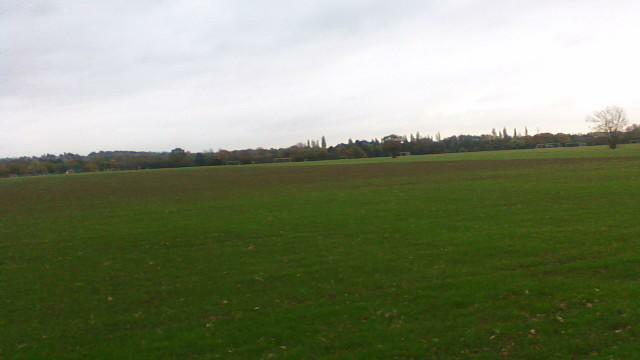 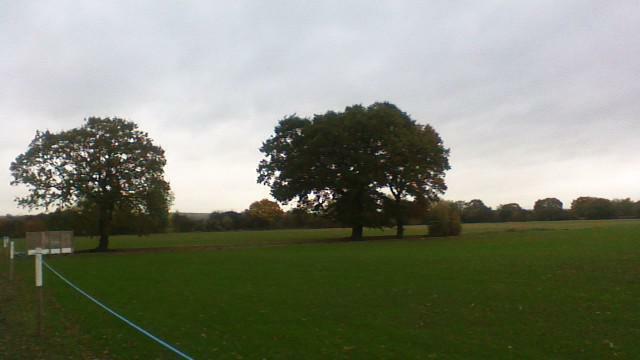 This picture was taken of a landscape with an aeroplane flying over head on a summer's day.